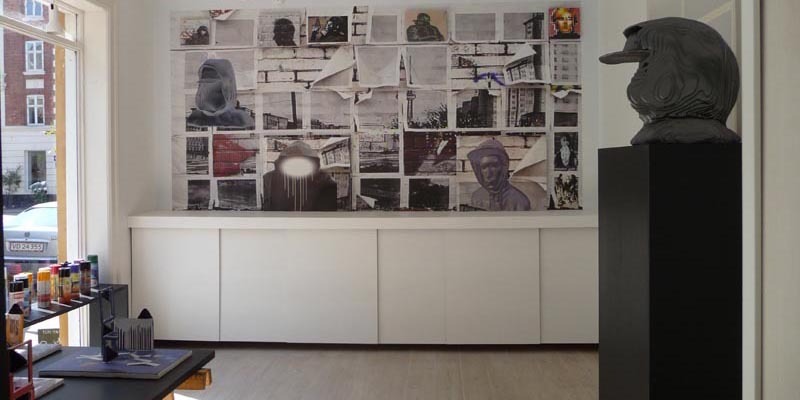 CLICK photo = LARGE format + slide show.. 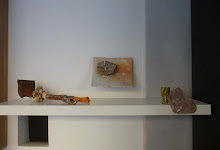 Photos of exhibition and process.. 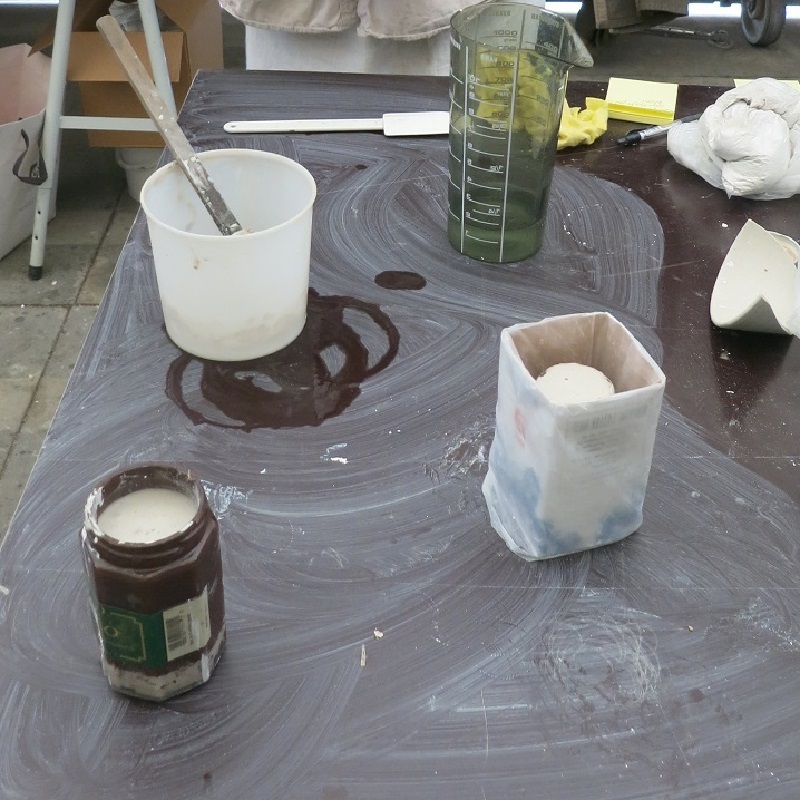 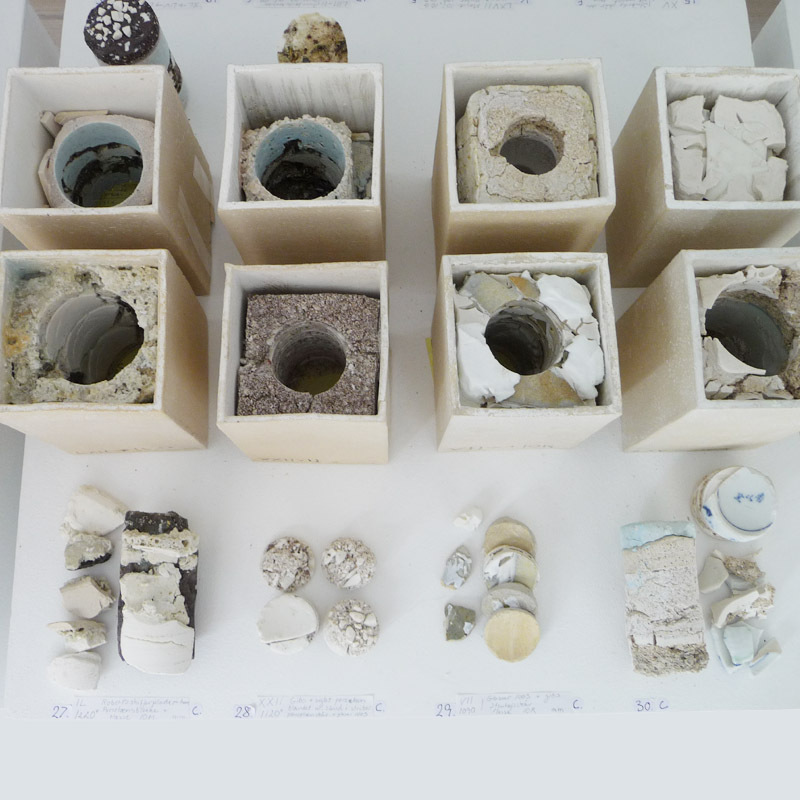 The exhibition is a presentation of the project, showing the laboratory-like character of the experiments and work in progress. 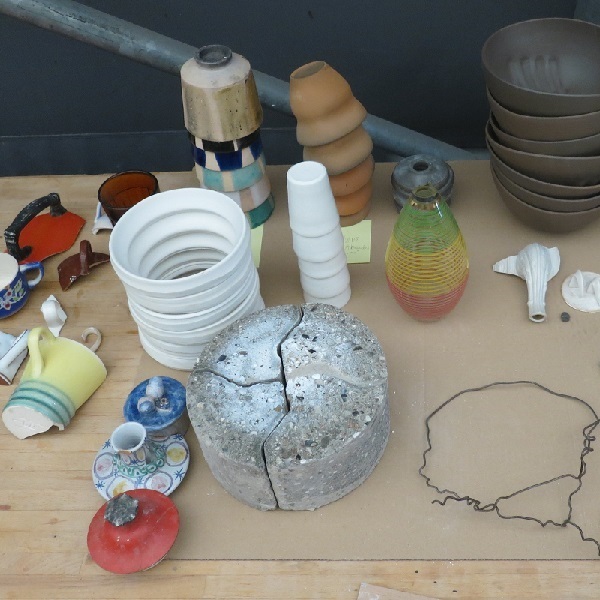 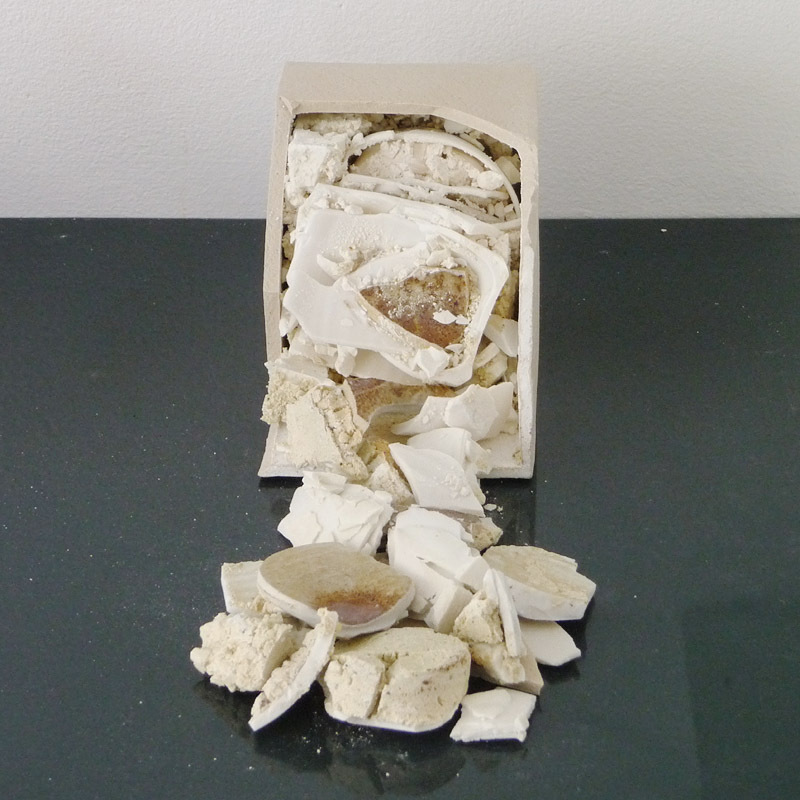 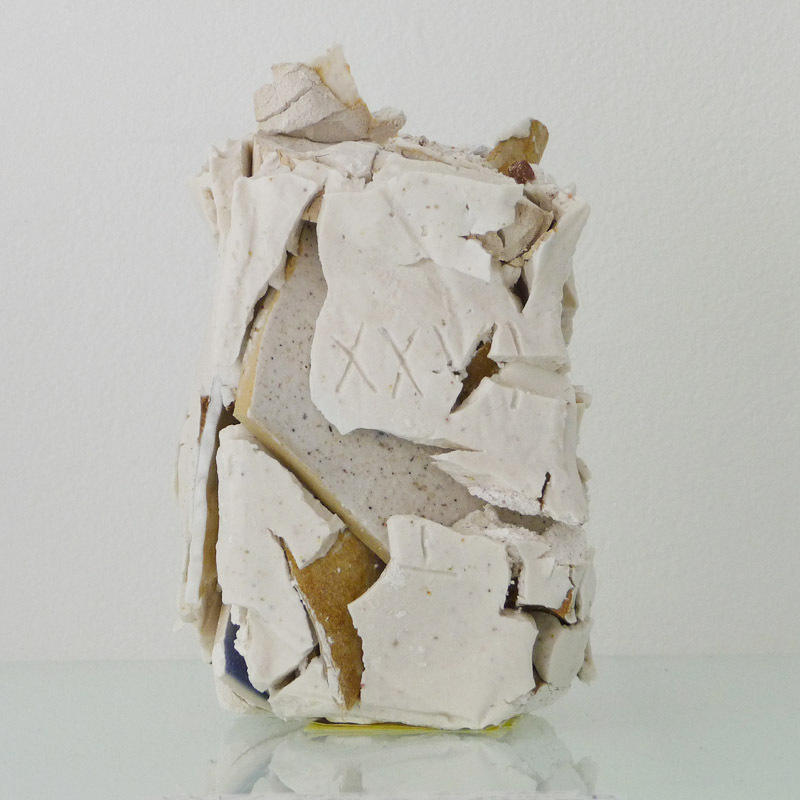 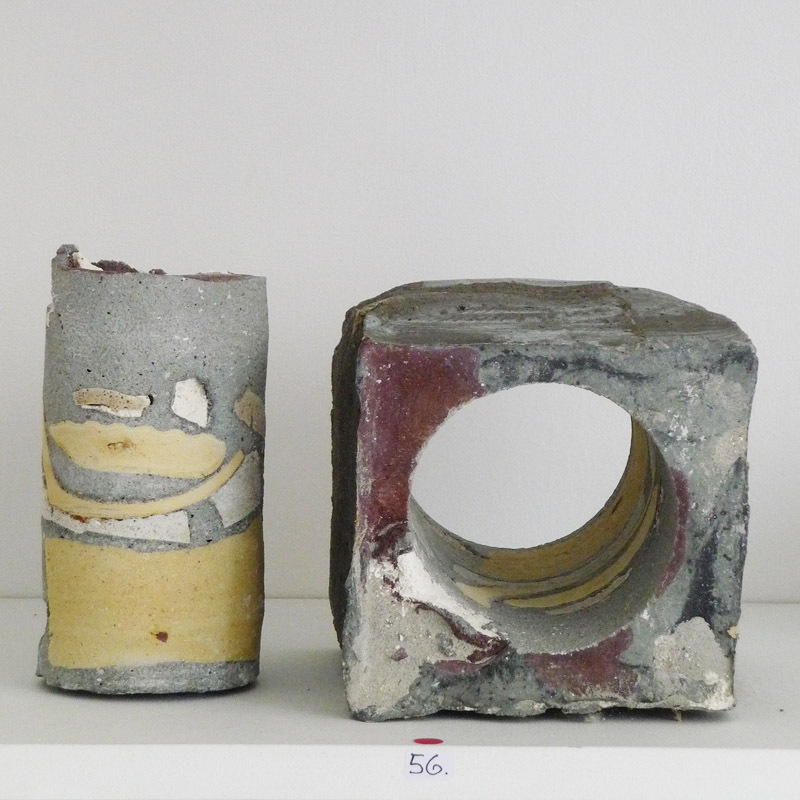 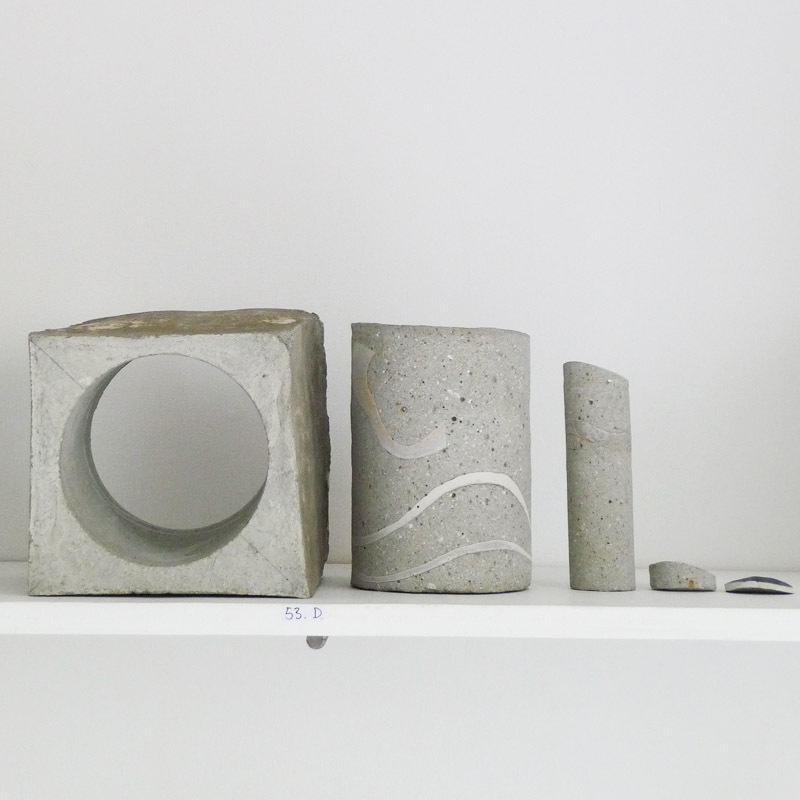 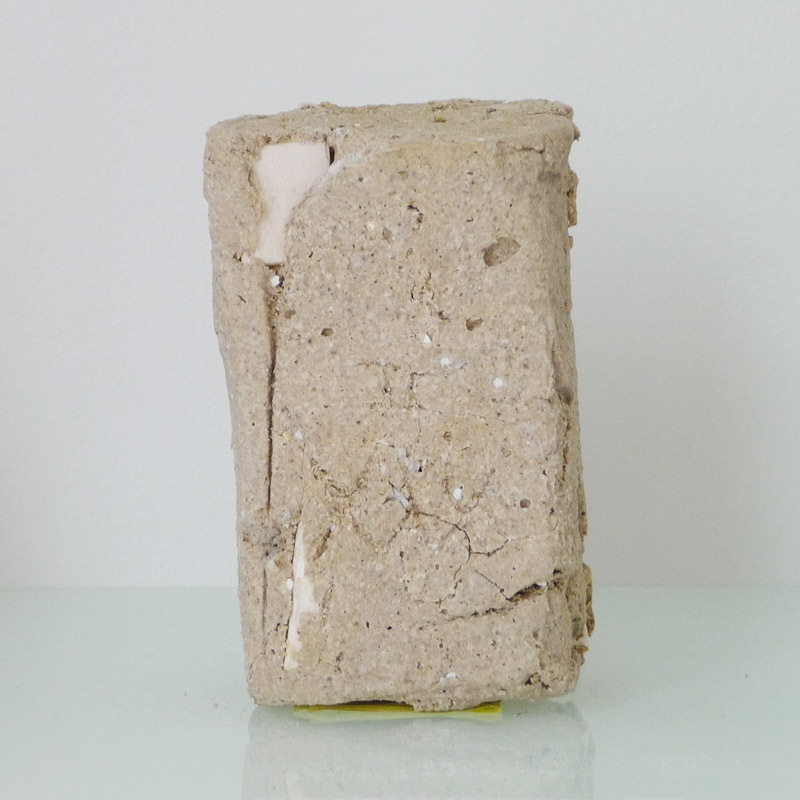 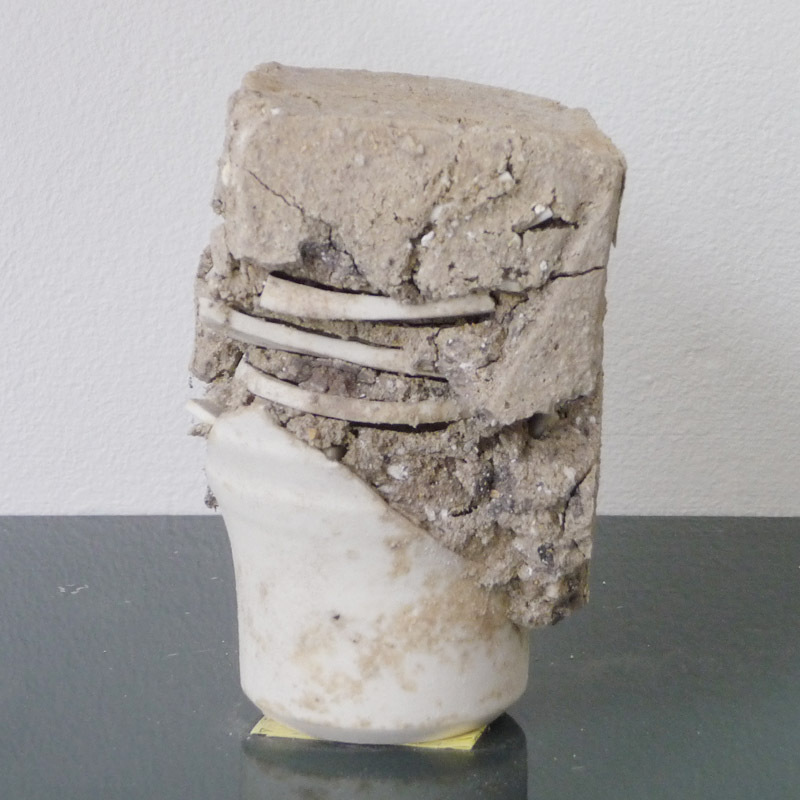 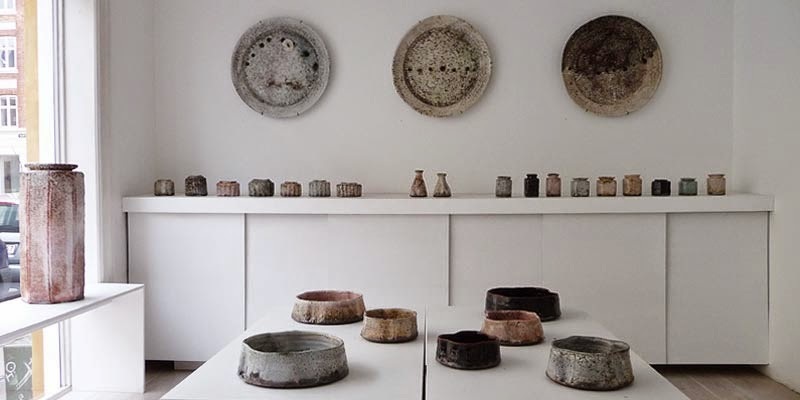 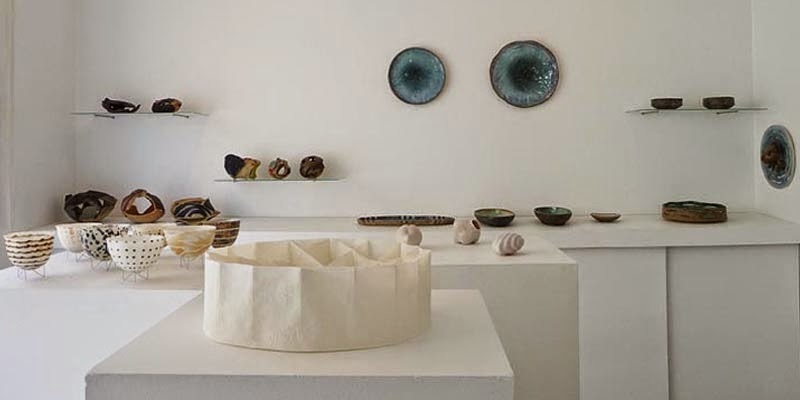 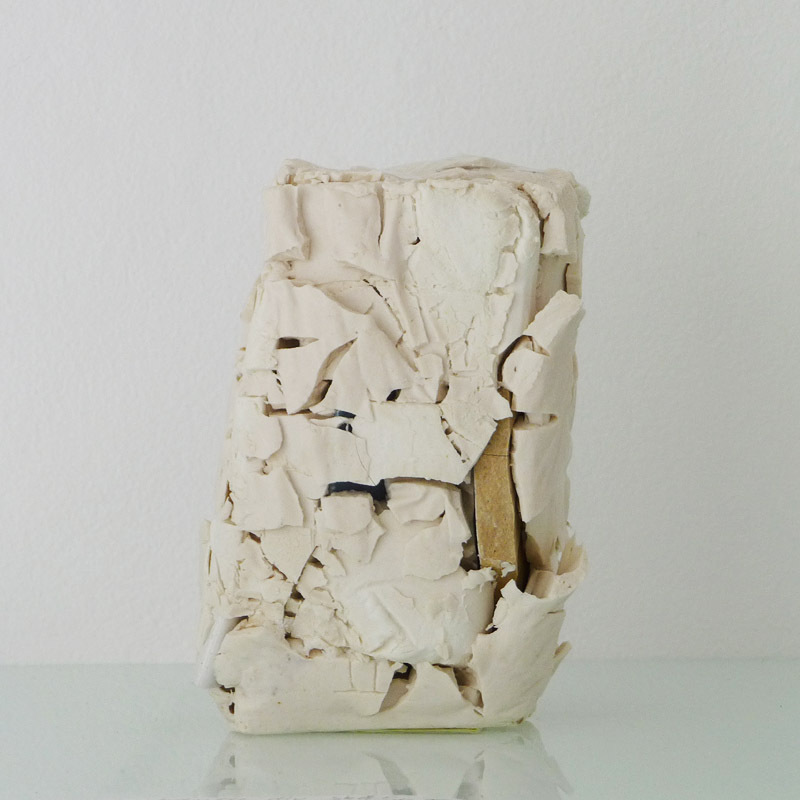 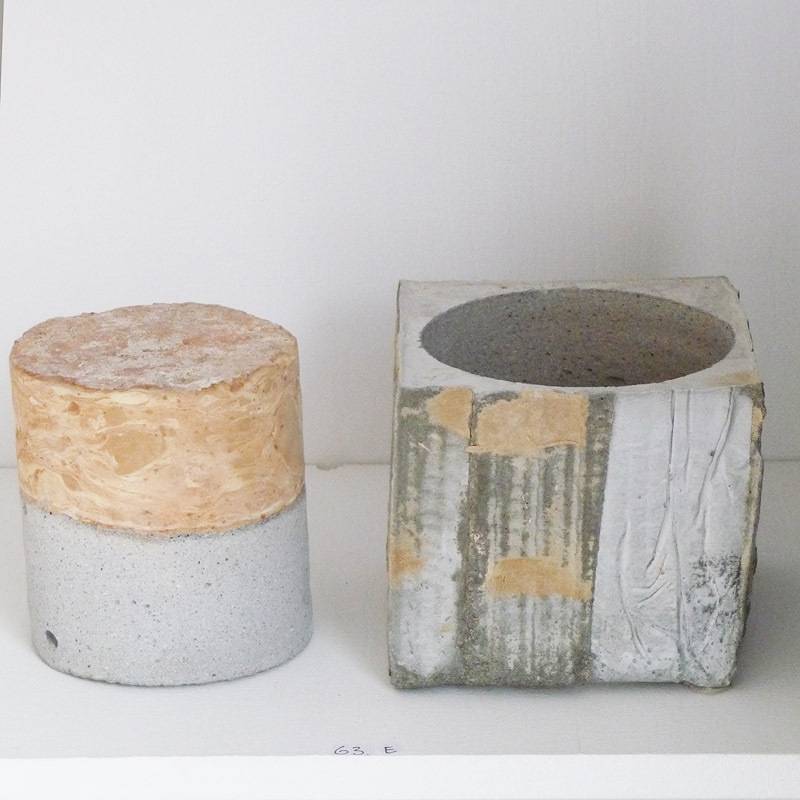 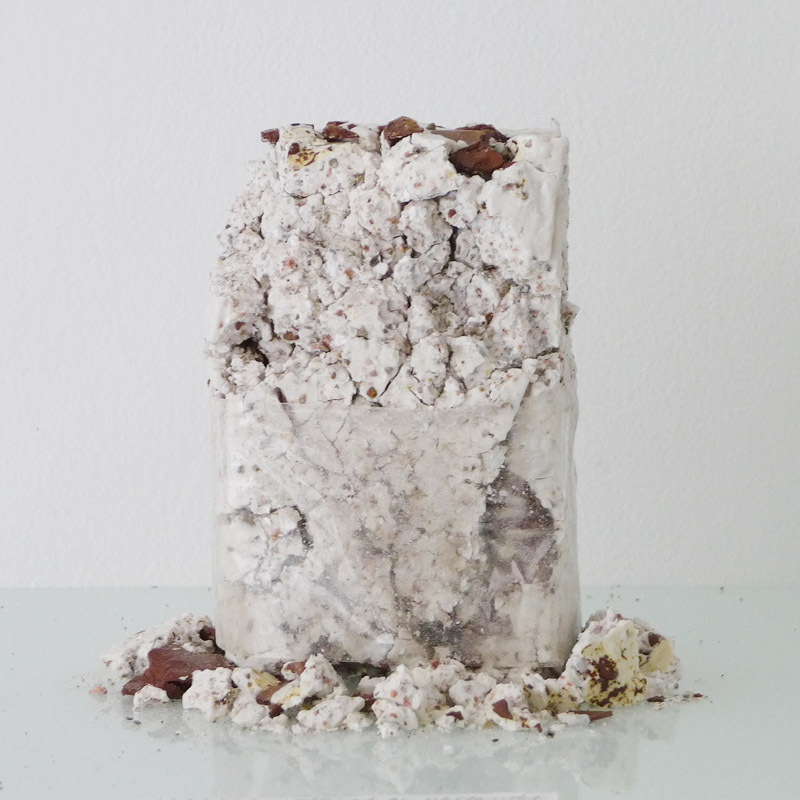 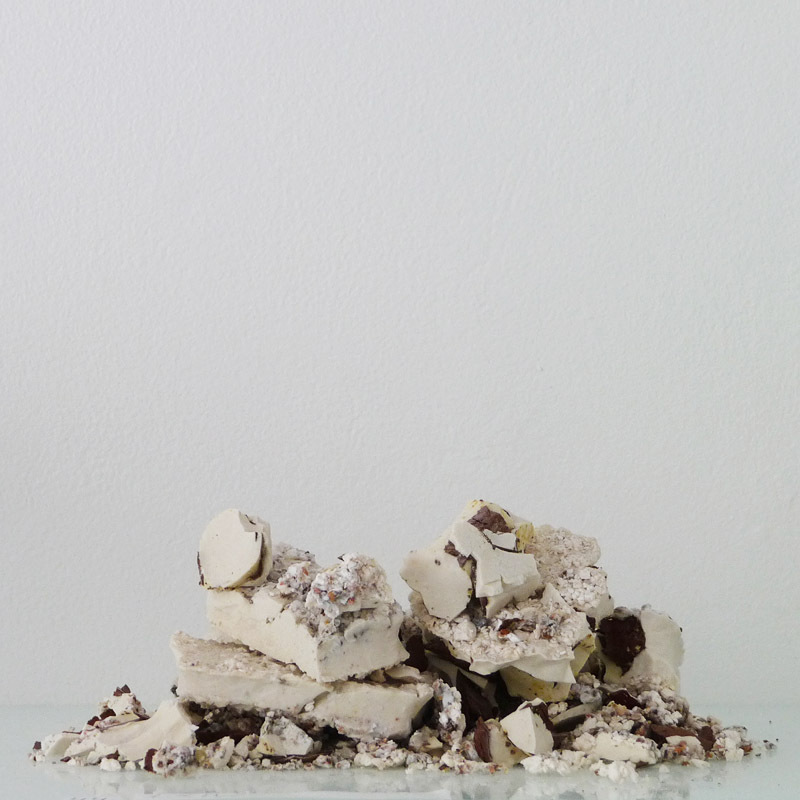 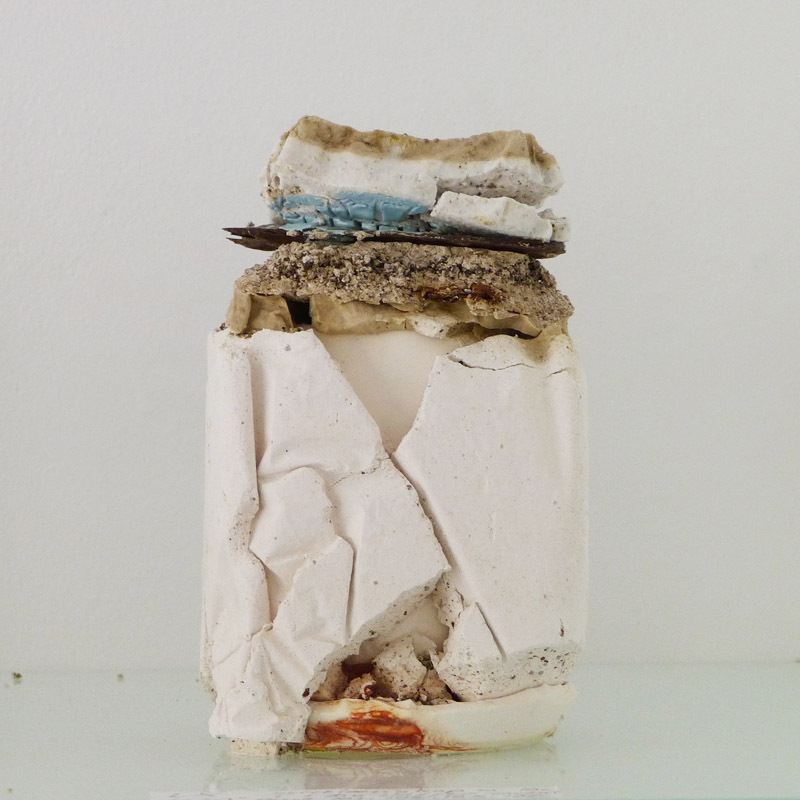 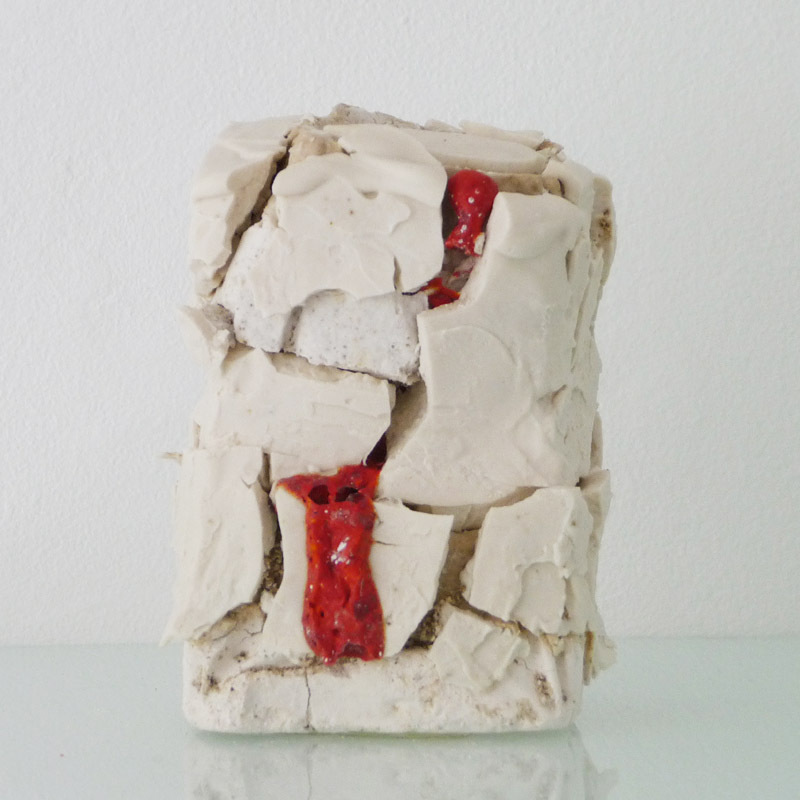 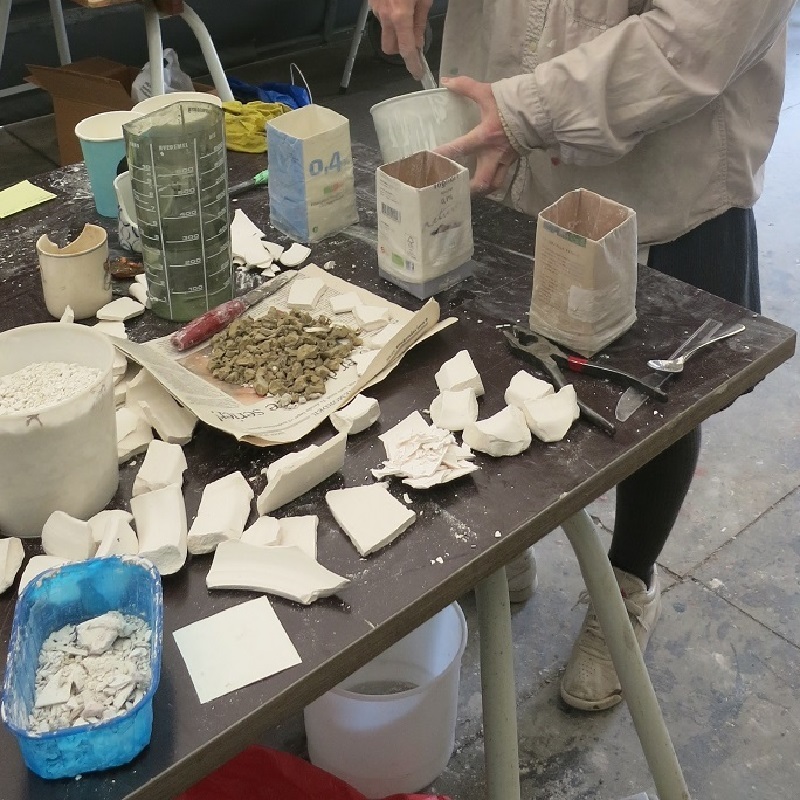 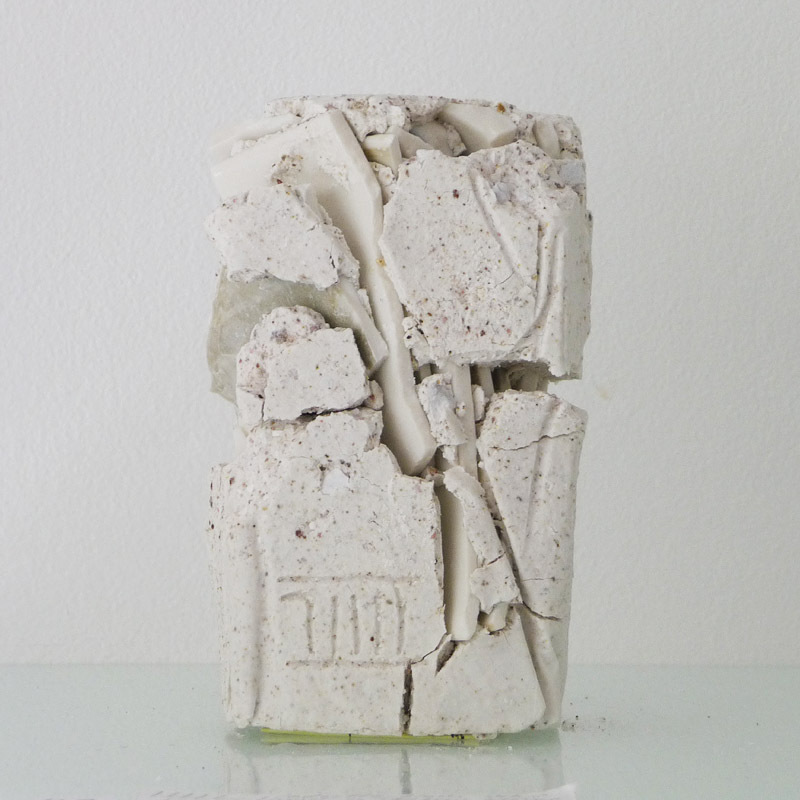 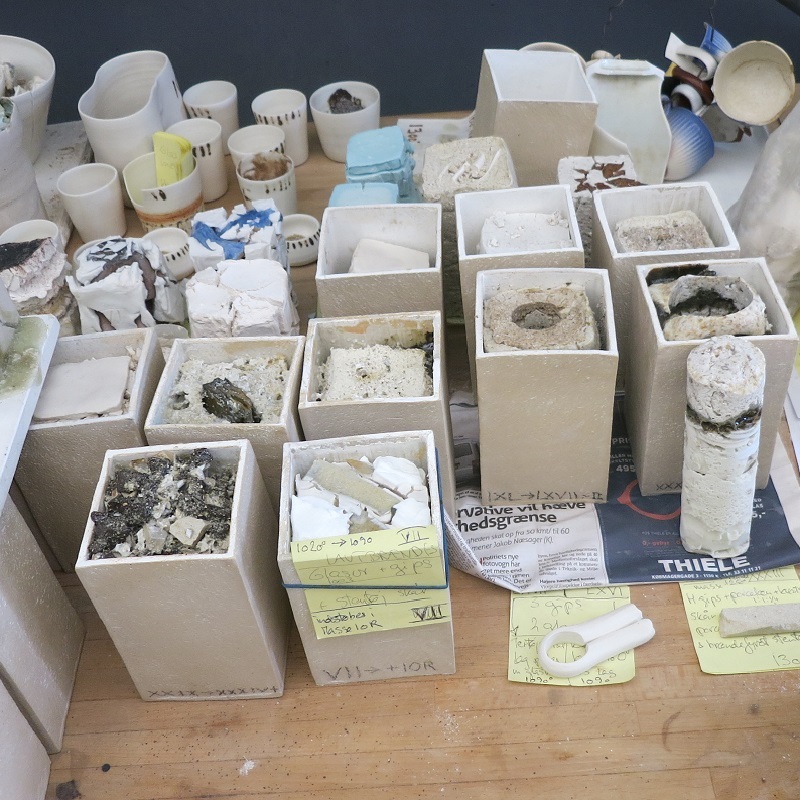 The project recycled and used gravel, powder, glazes, clay, pottery shards, - cups, jugs, bowls and other things from Ann Linnemann's many years of ceramic work and Anne Fabricius Møller's accumulations. 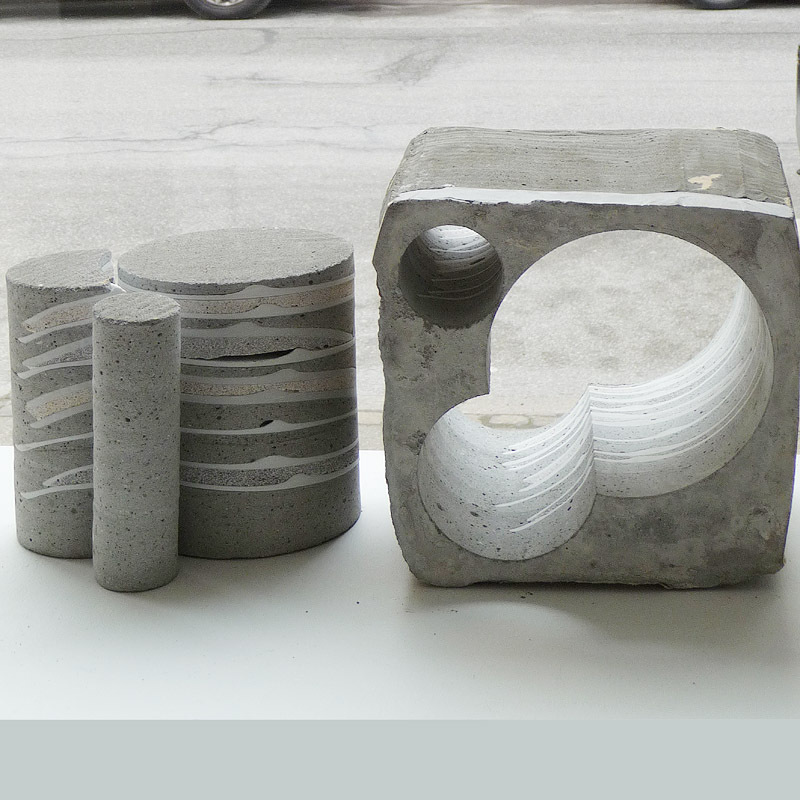 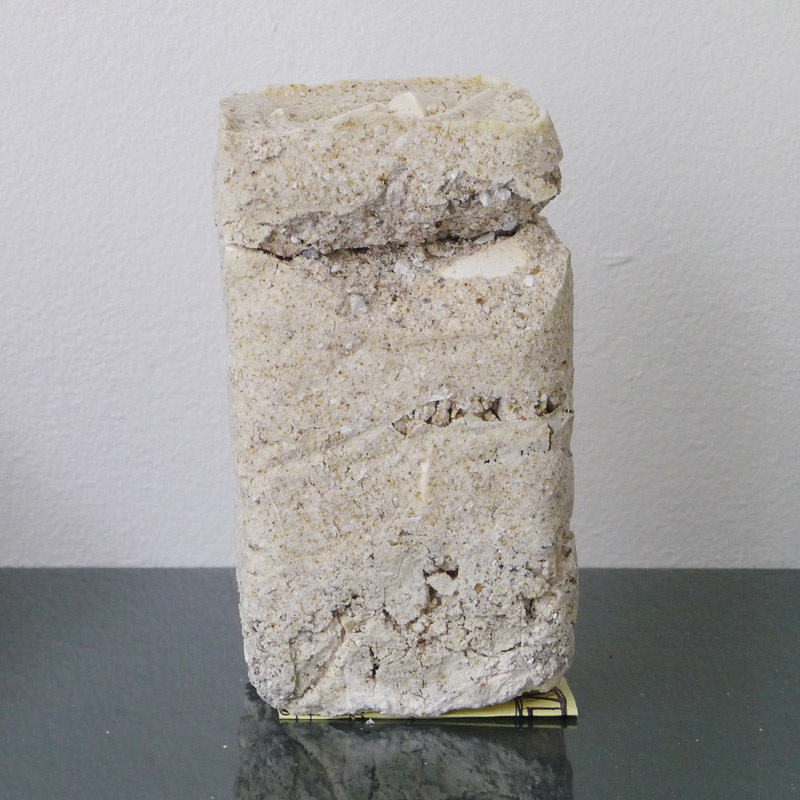 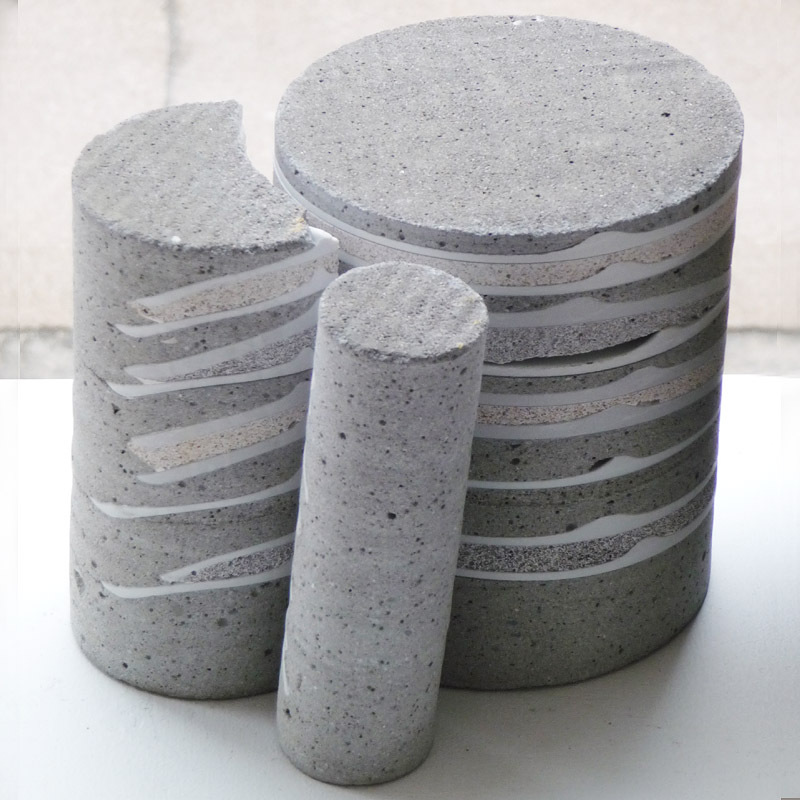 The result is both a concrete and in-concrete exhibition. 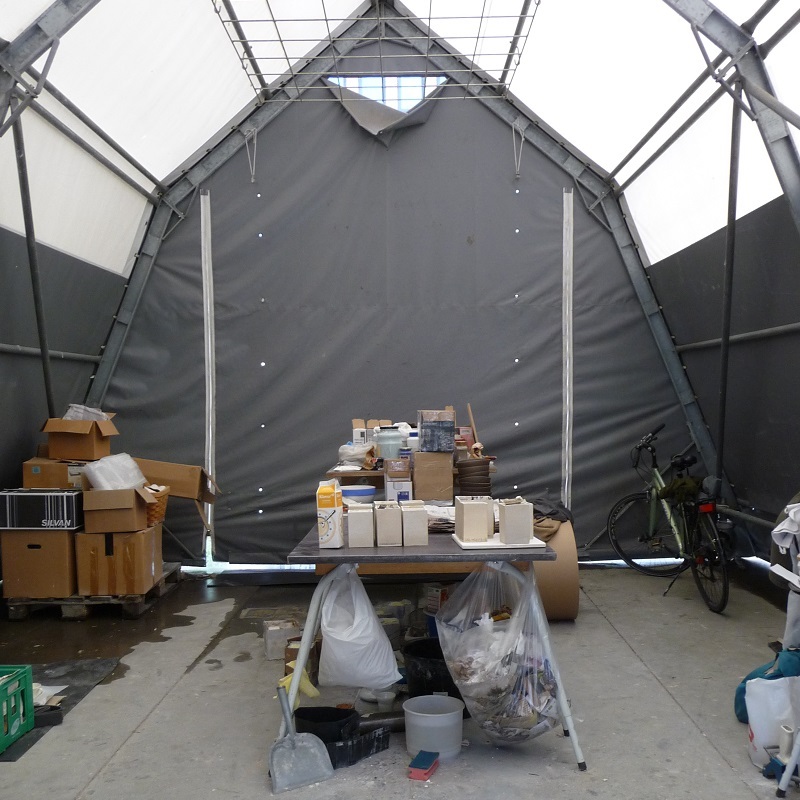 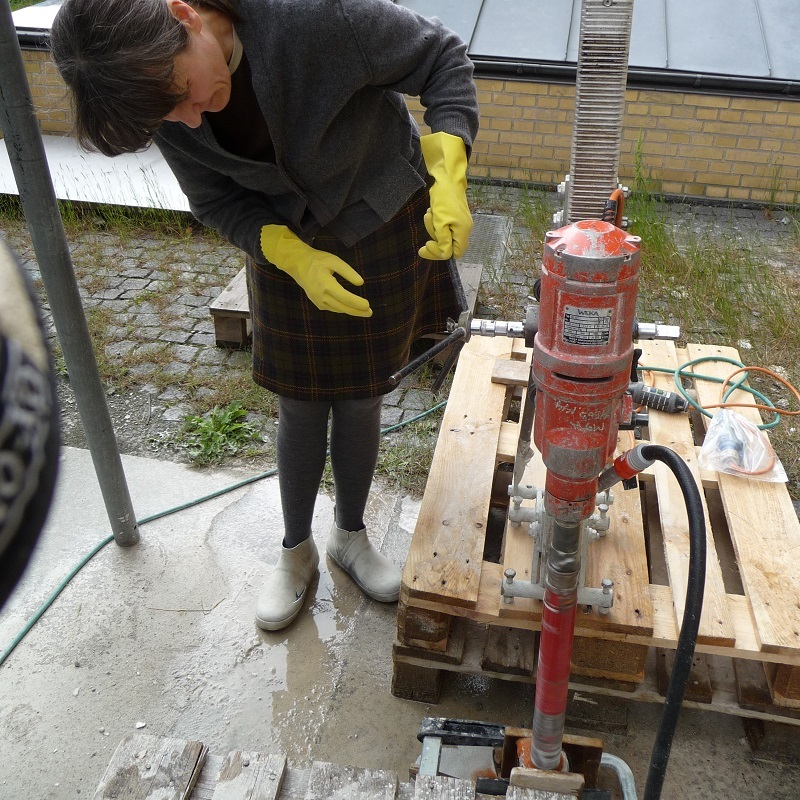 We would like to thank MT Højgaard for the loan of drilling equipment and The Danish Art Workshops SVFK in Copenhagen for studio space in the spring of 2015. 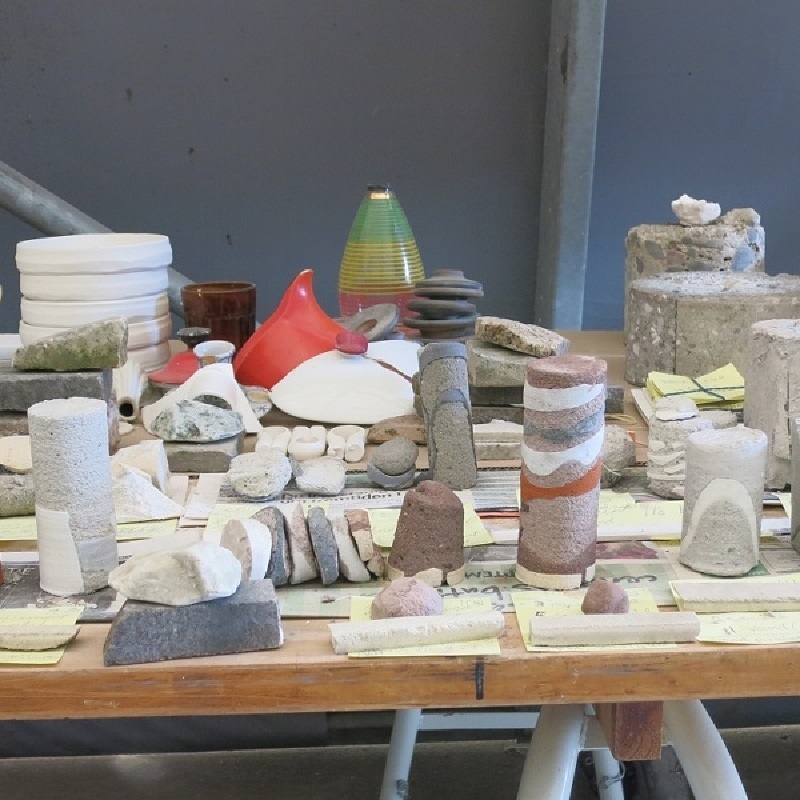 Also thanks to the Danish Arts Foundation Project Fund for funding in 2016. 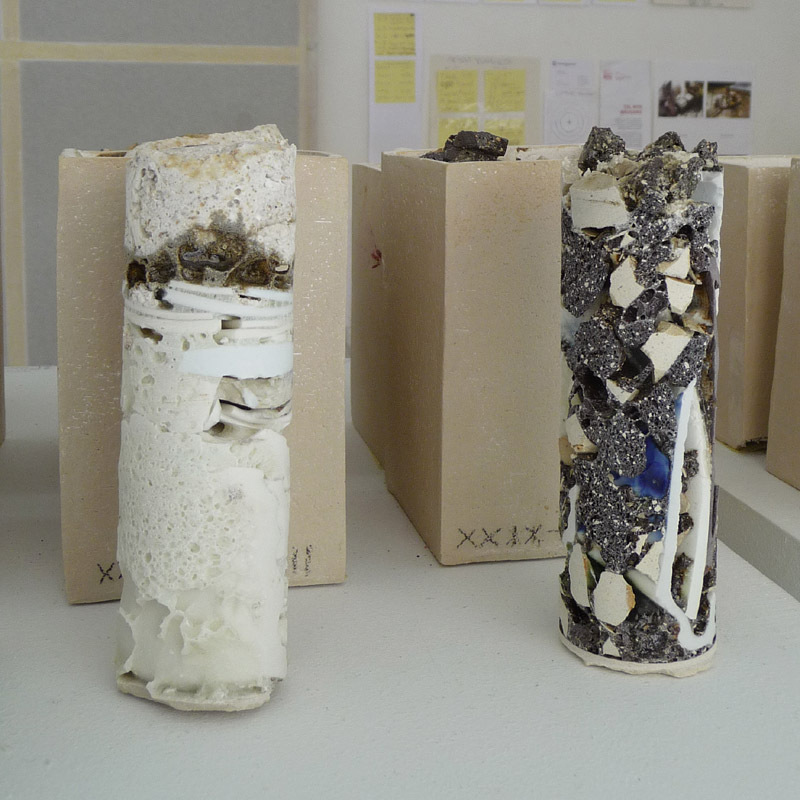 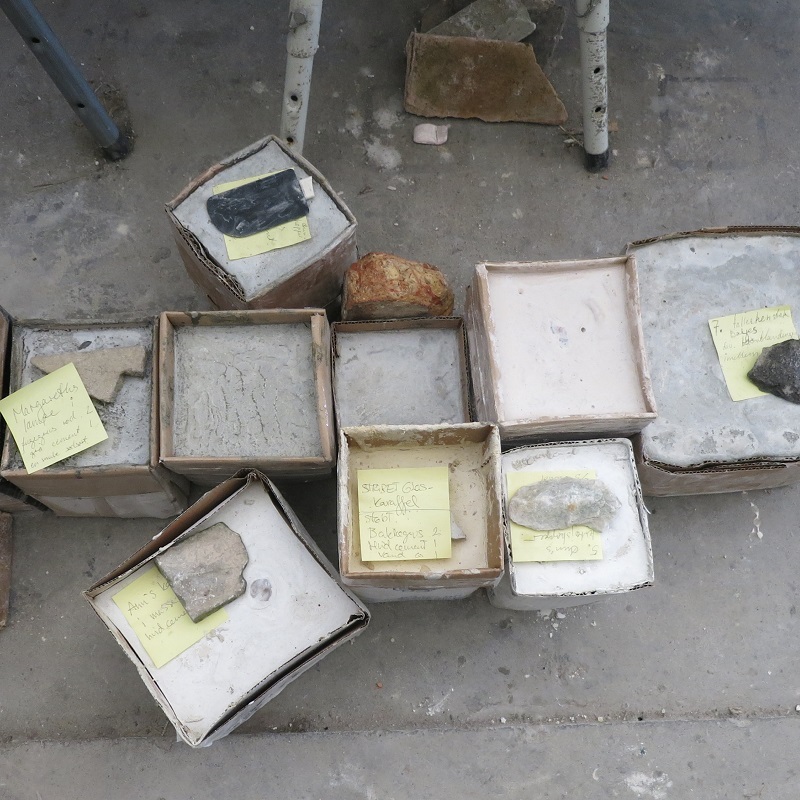 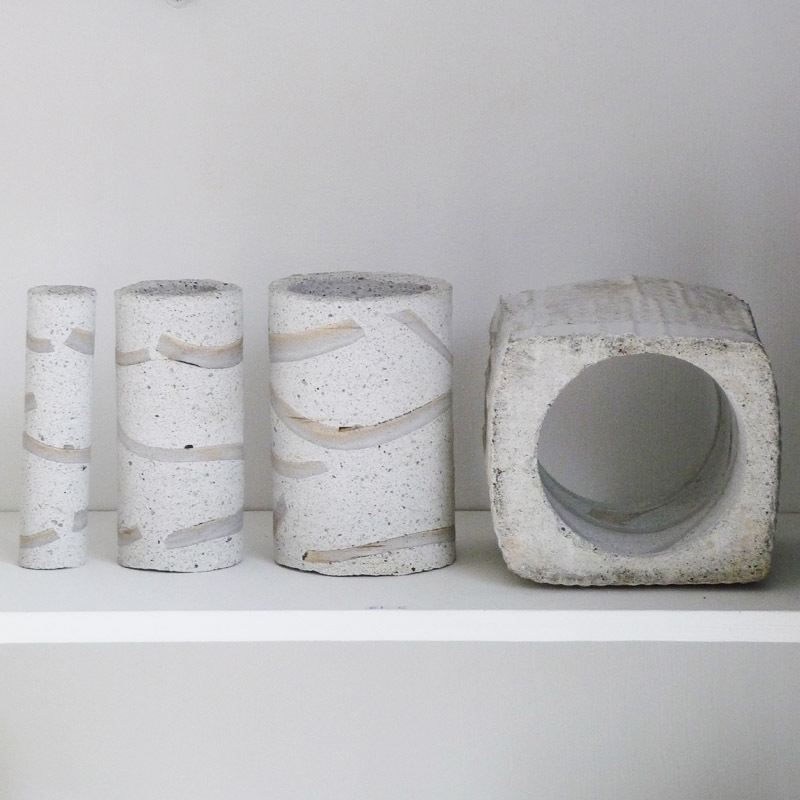 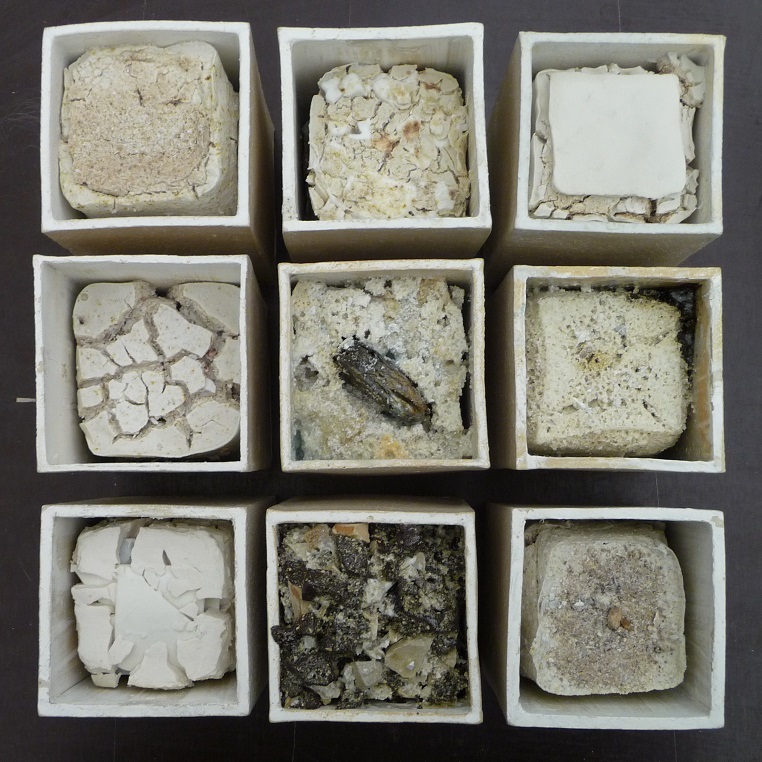 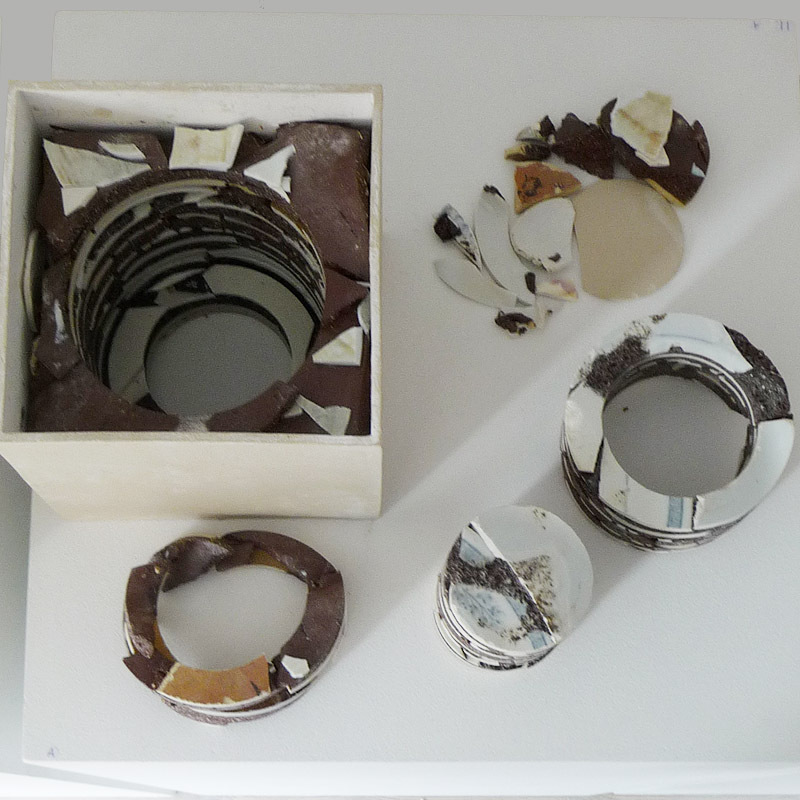 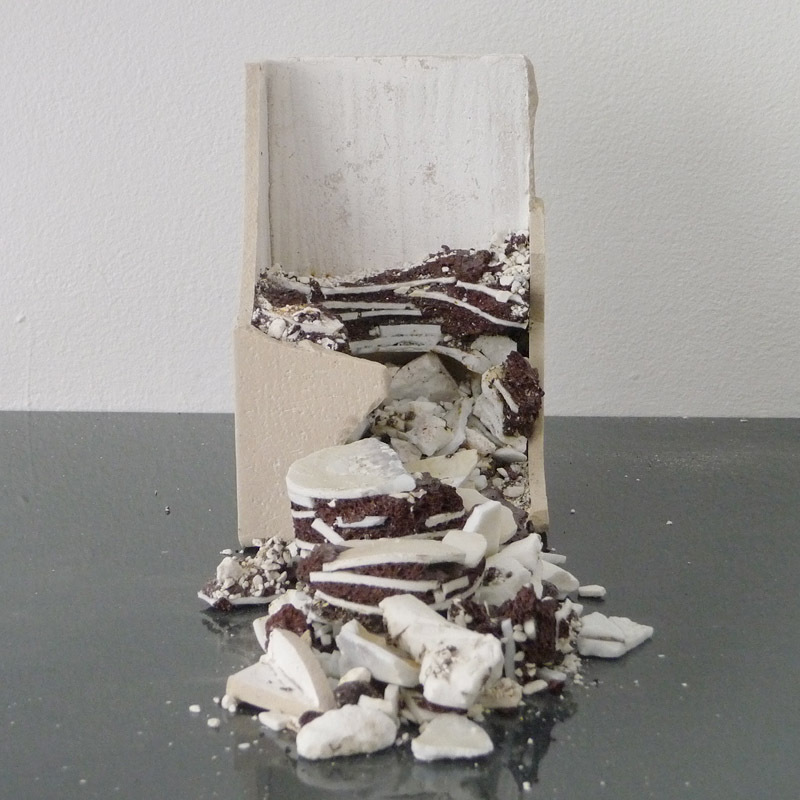 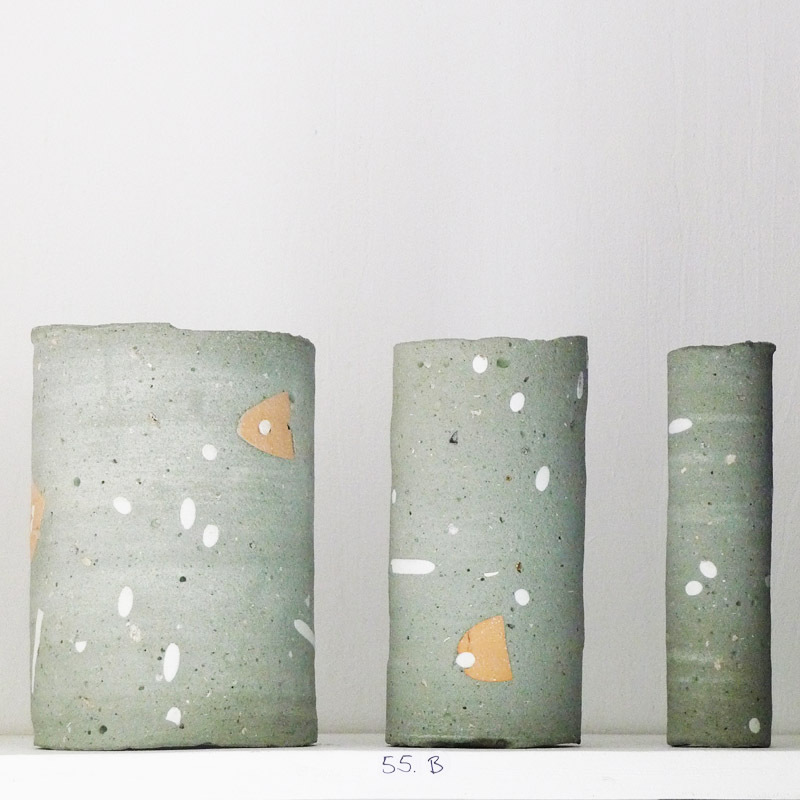 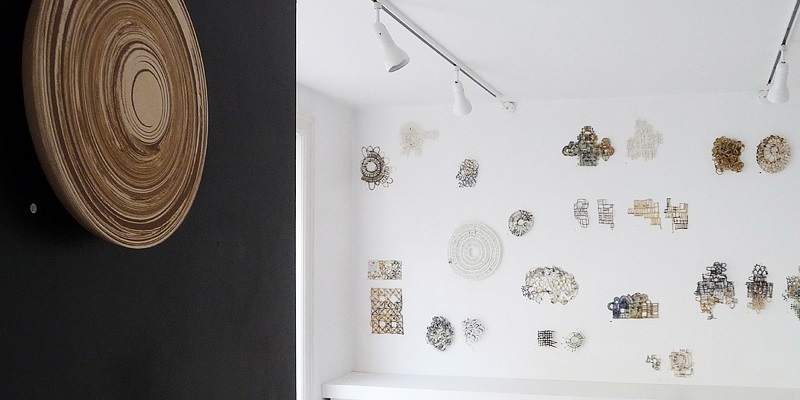 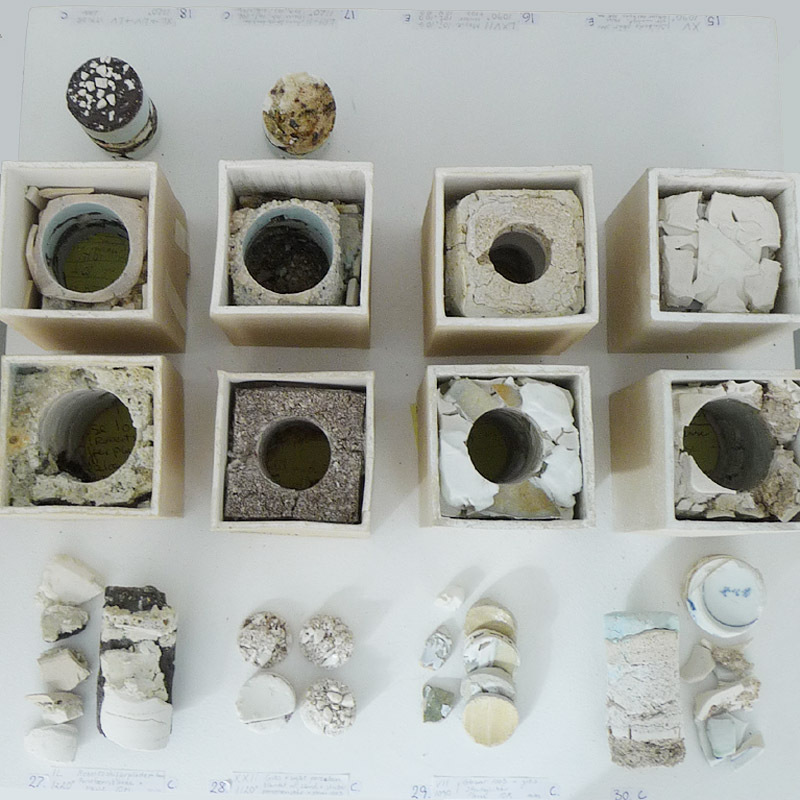 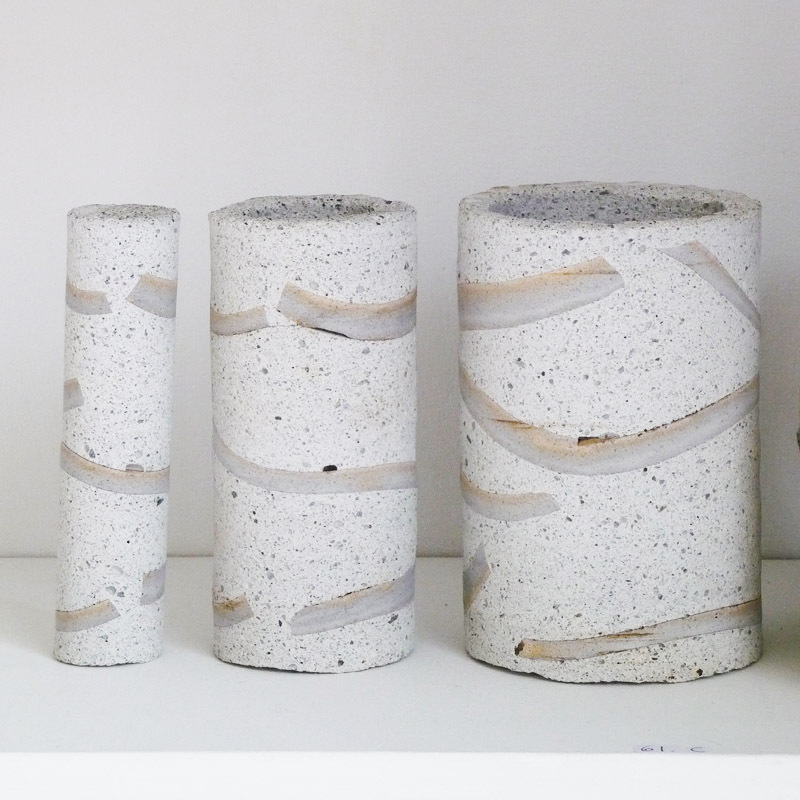 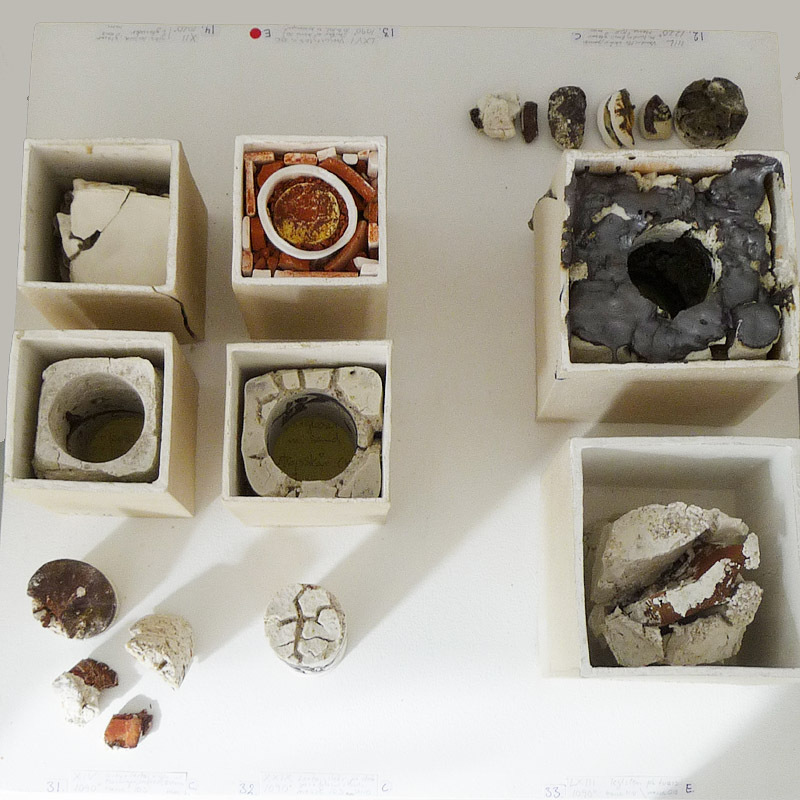 Anne Fabricius Møller has a small collection of drilled cores, found and acquired. 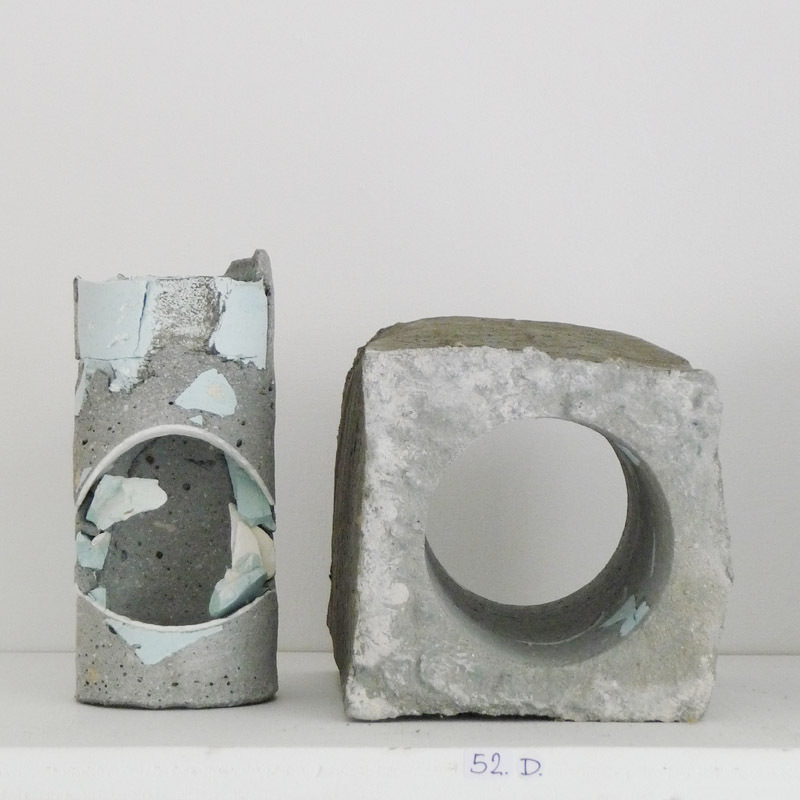 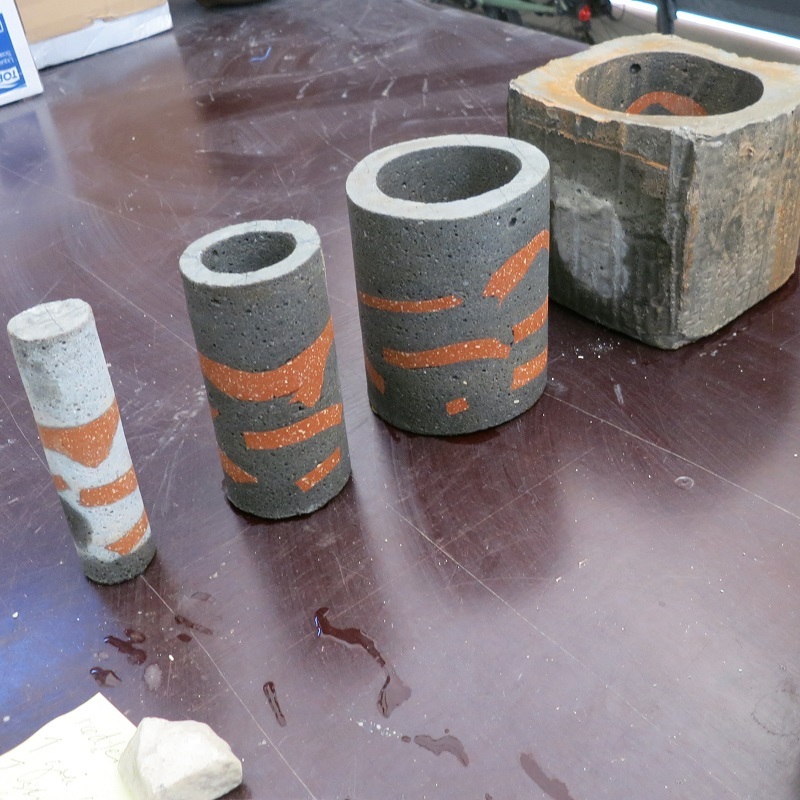 She had inherited the mysteriously 'unattainable' and interesting stone and concrete cores; and then one day a hole had to be drilled through a concrete wall for a drain, and she saw the process of 'cylinder drilling' and it became physically visual and not as unattainable as she first believed. 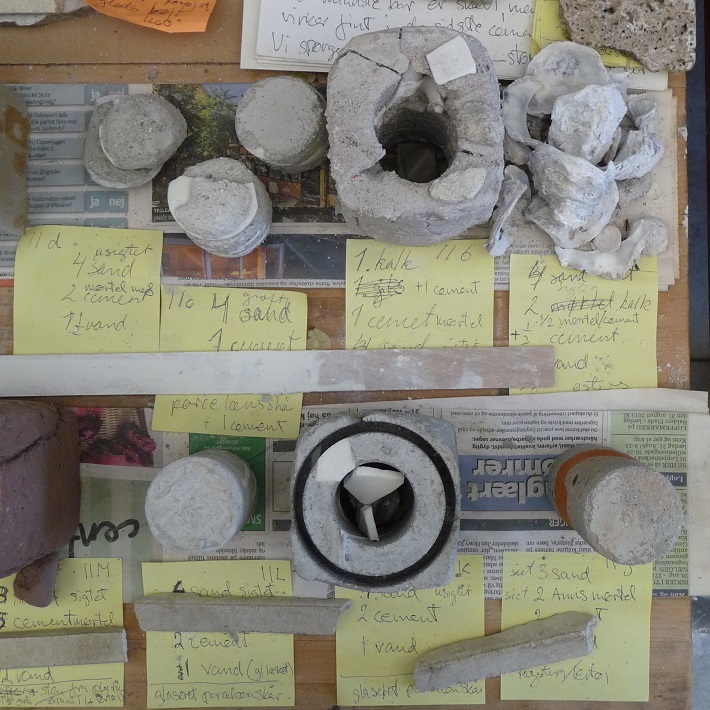 The desire for 'drilling' secrets out of things was shared with Ann Linnemann. 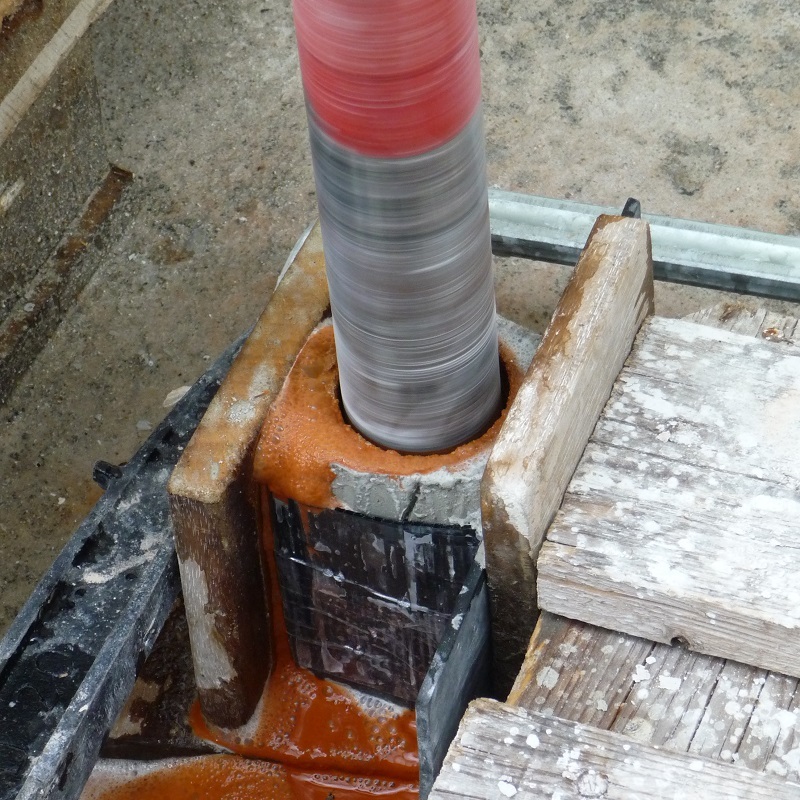 They had talked about doing a project together, and it was obvious with Ann's archaeological interest and their mutual mindset that cylinder-drilling could appeal to both. 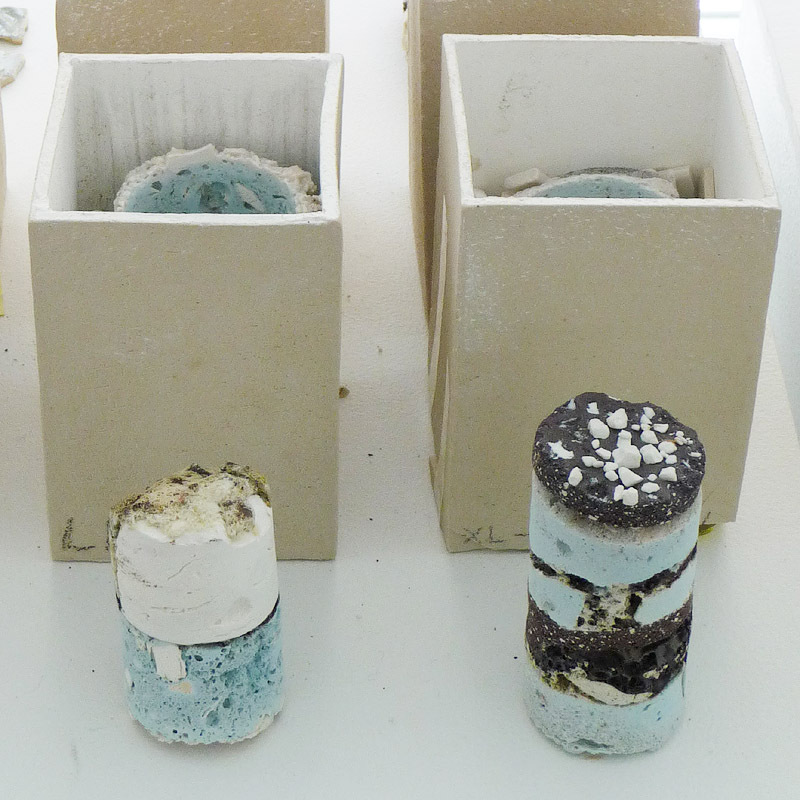 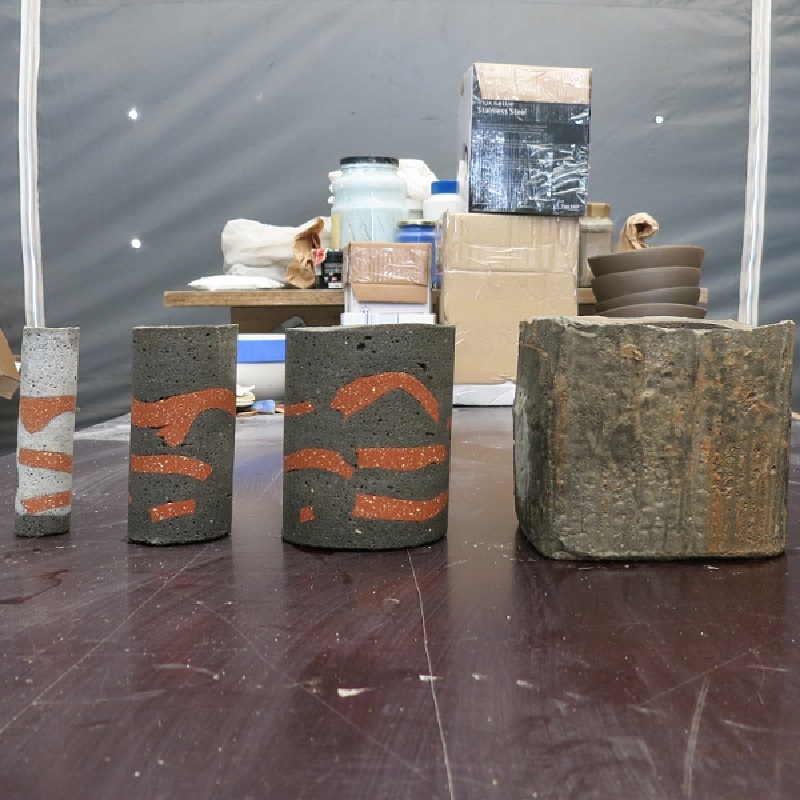 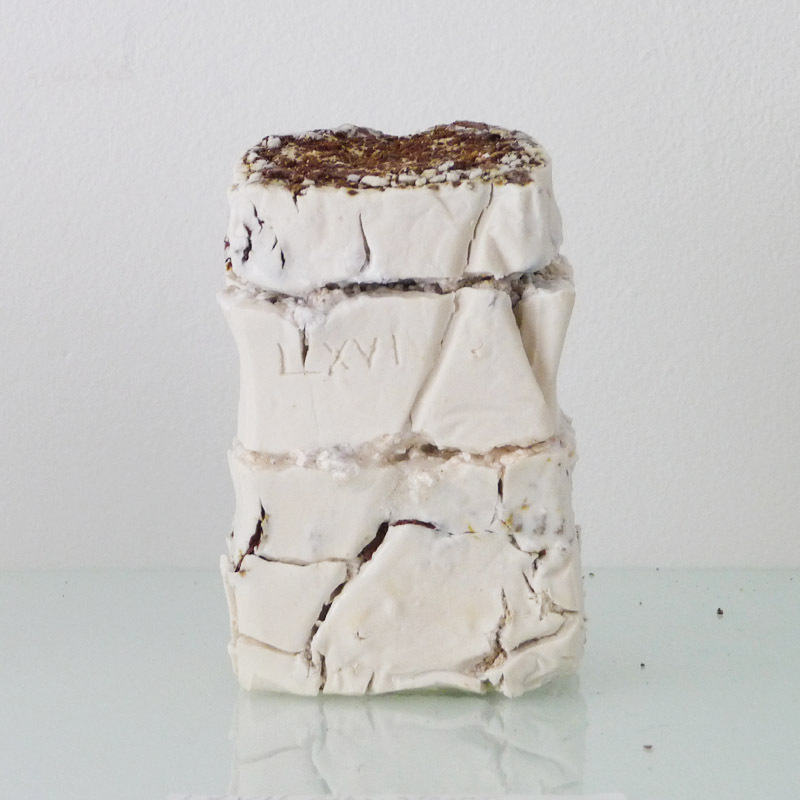 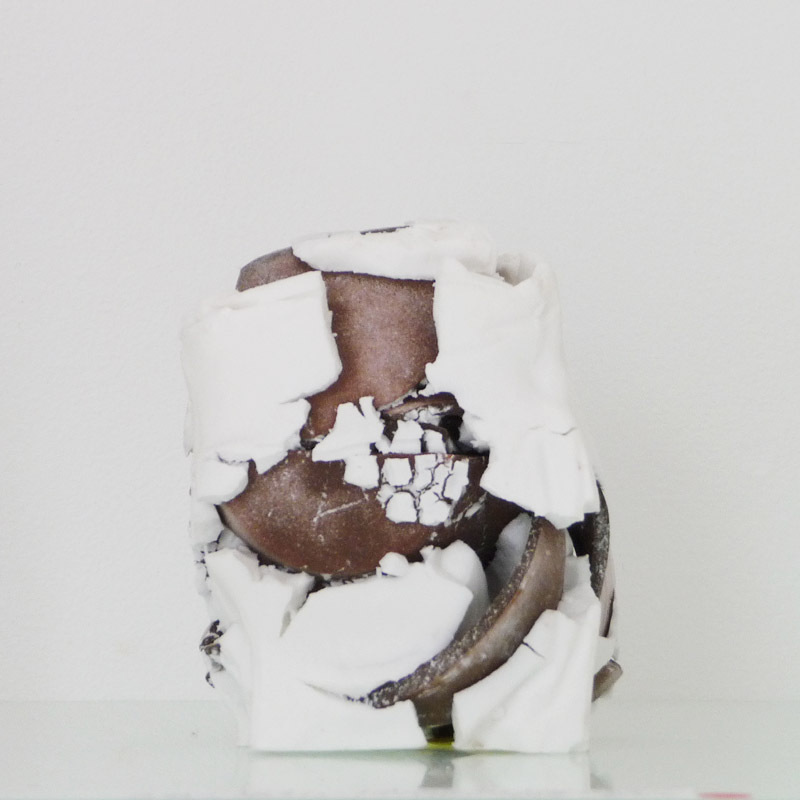 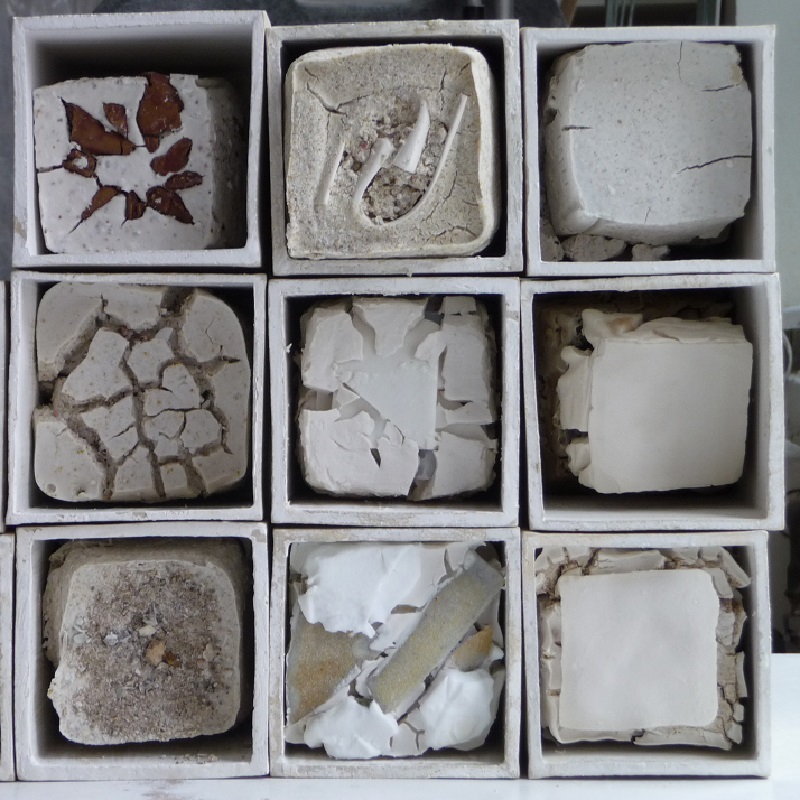 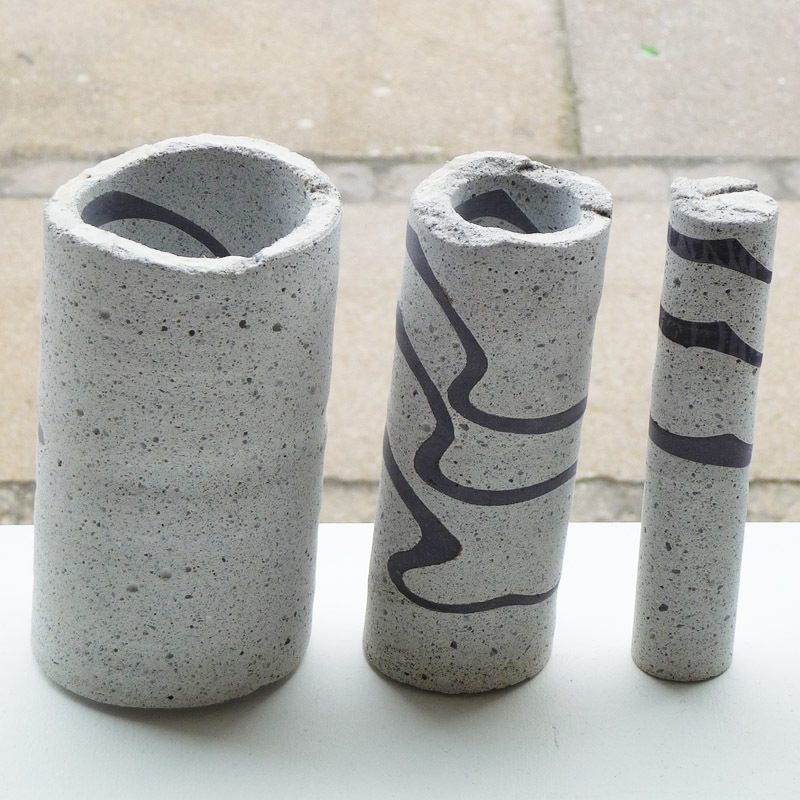 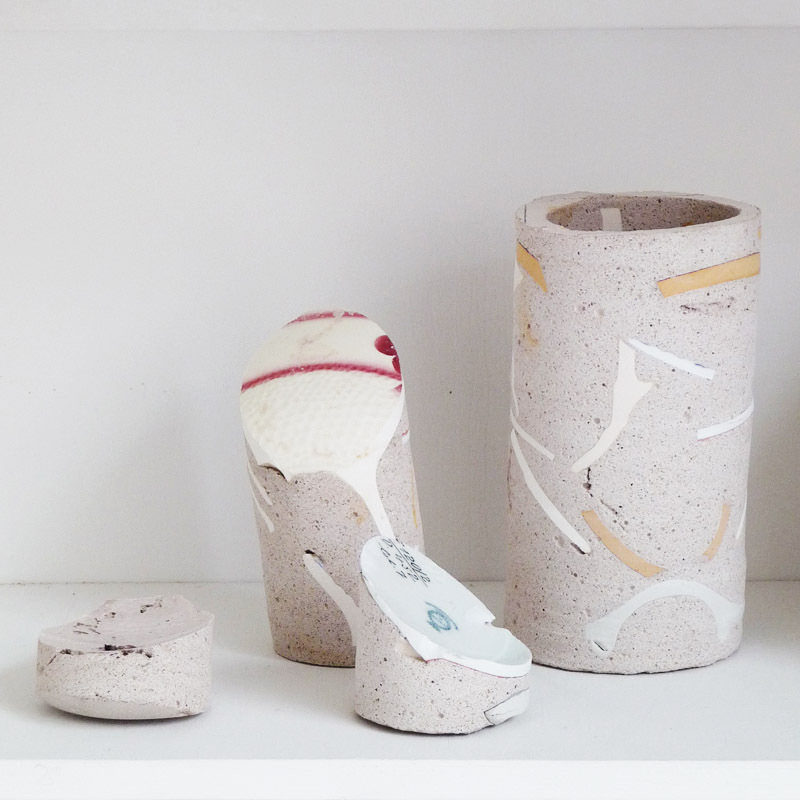 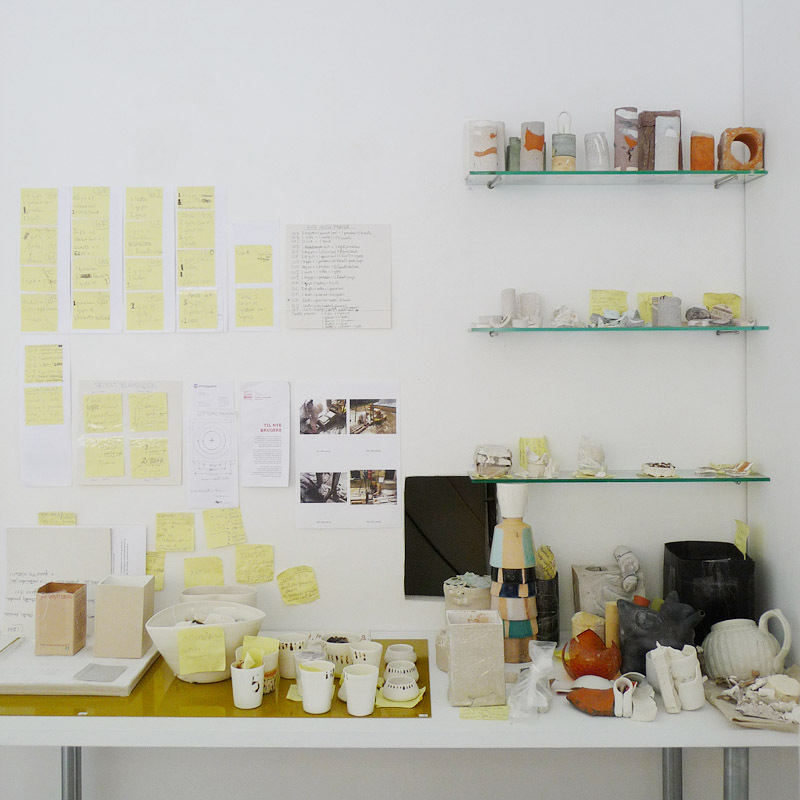 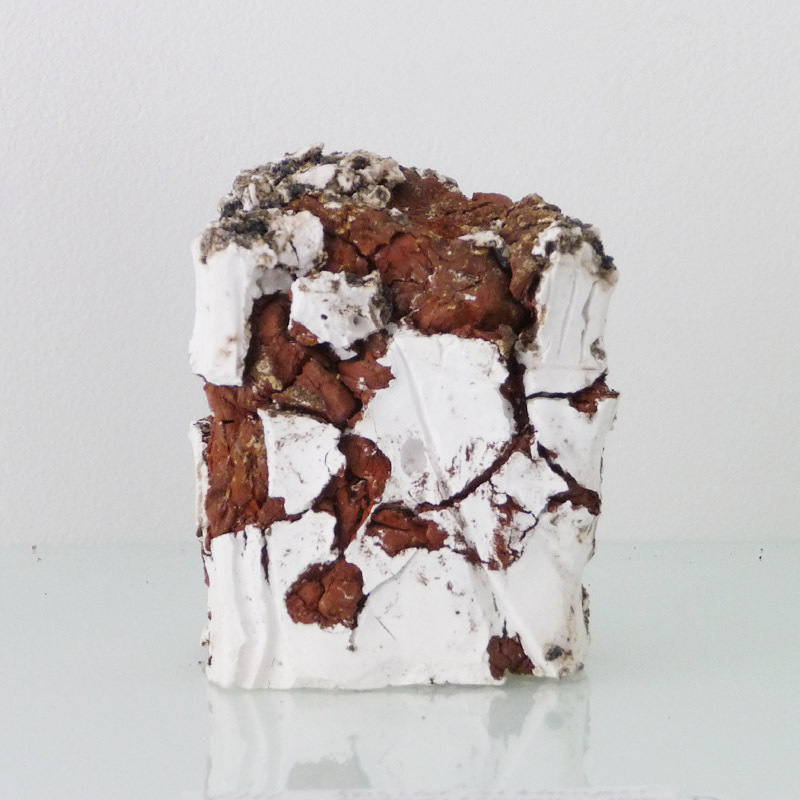 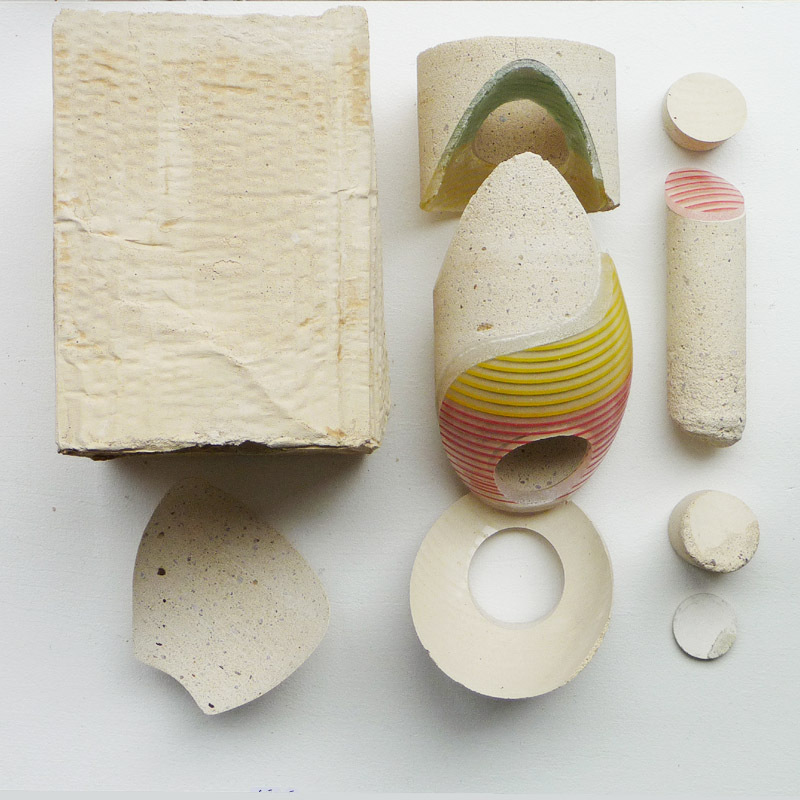 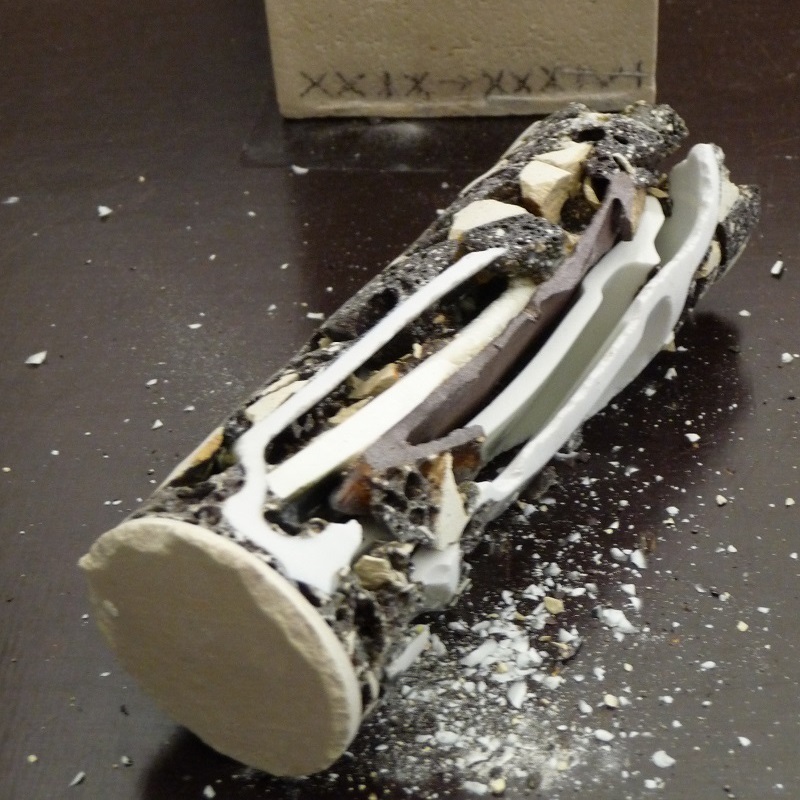 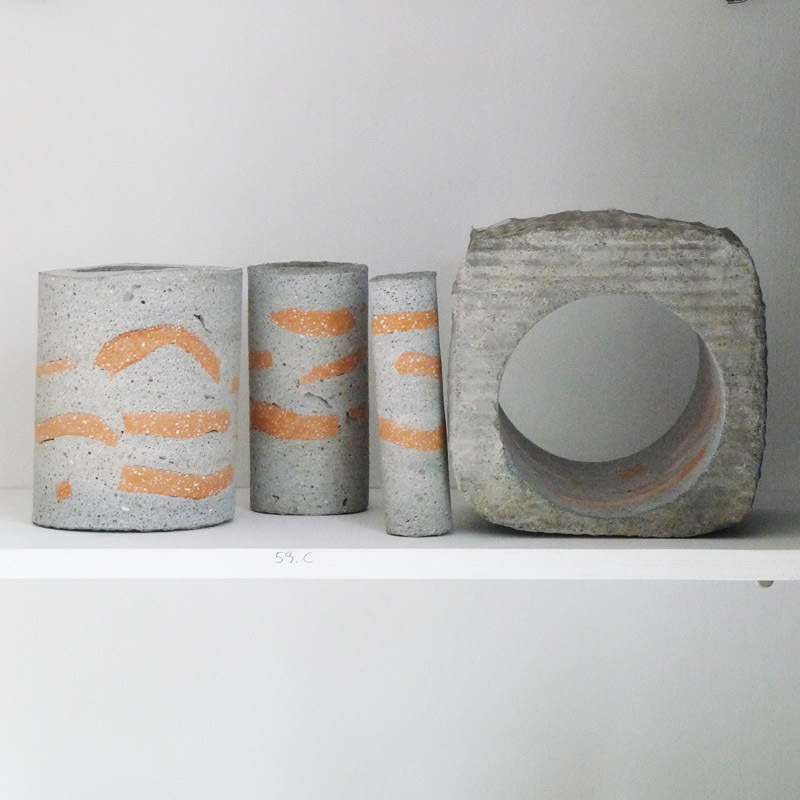 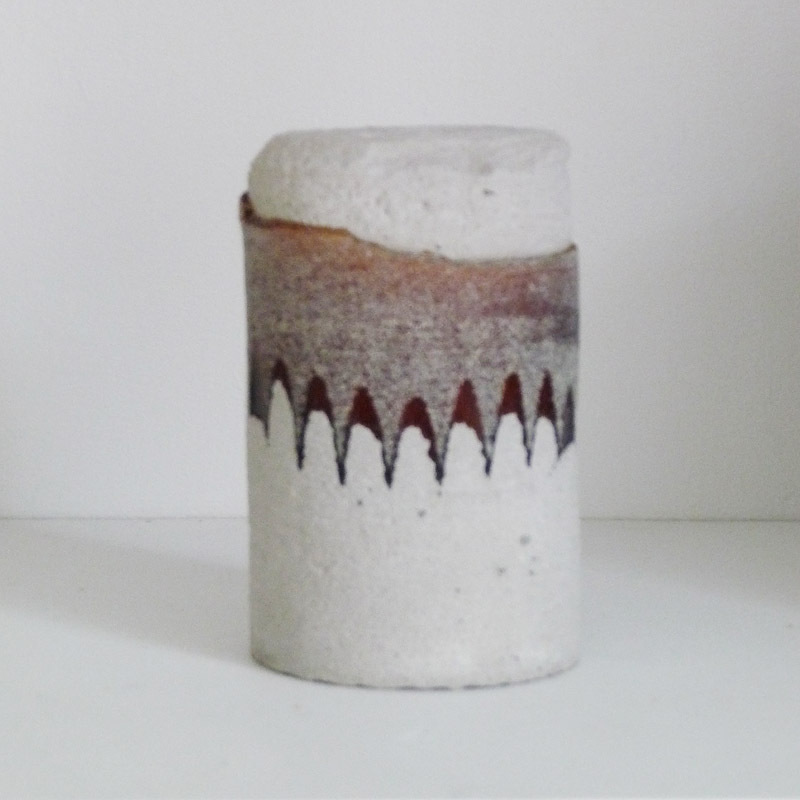 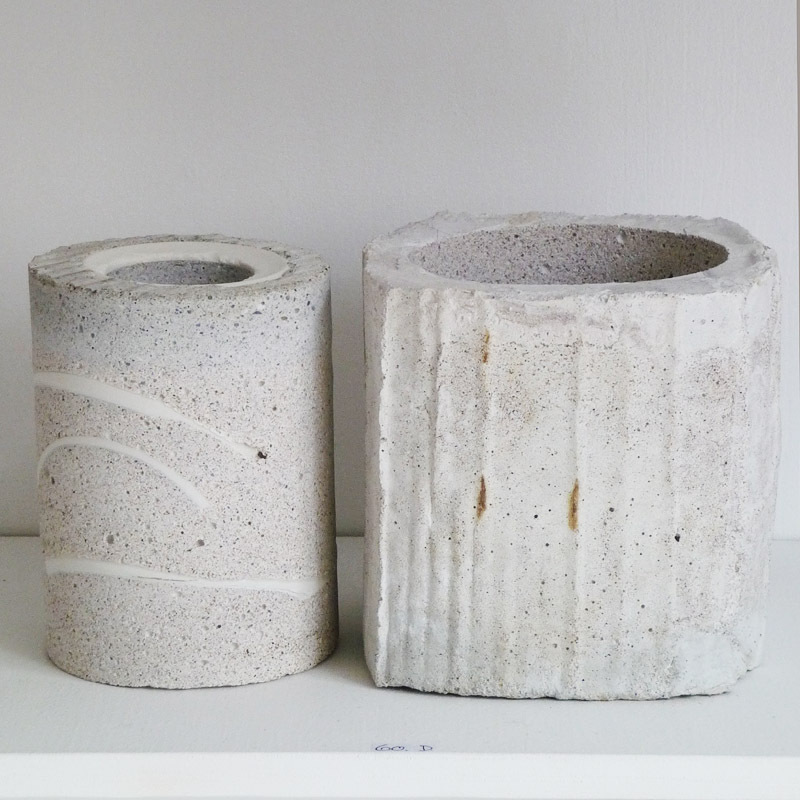 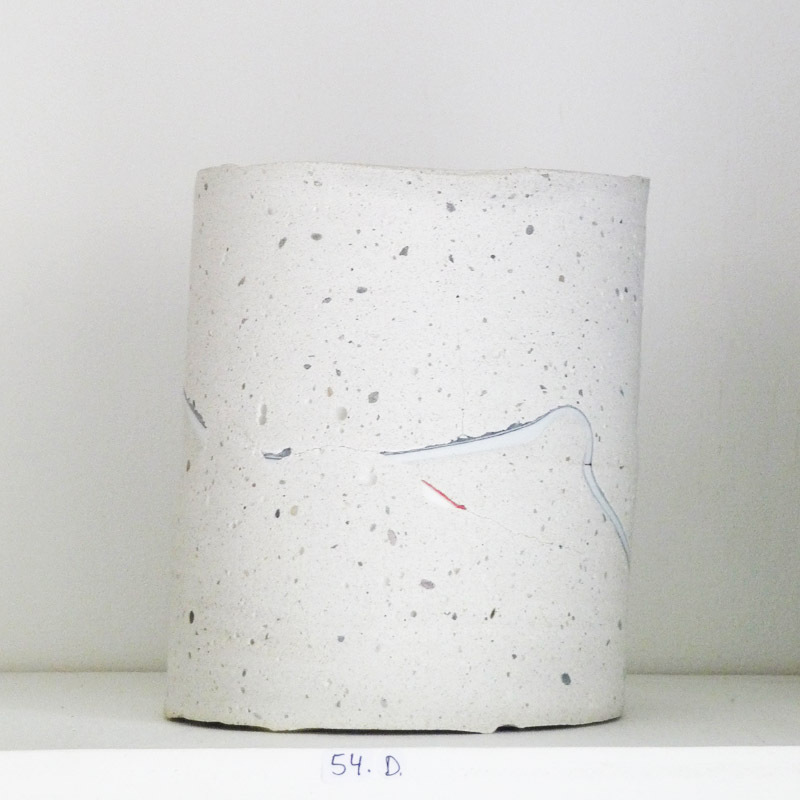 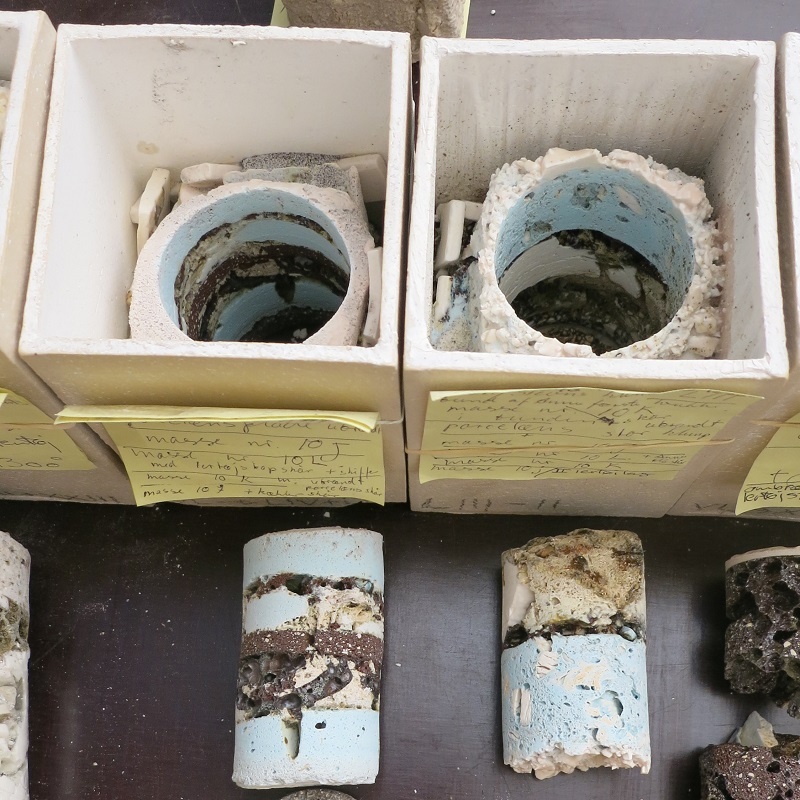 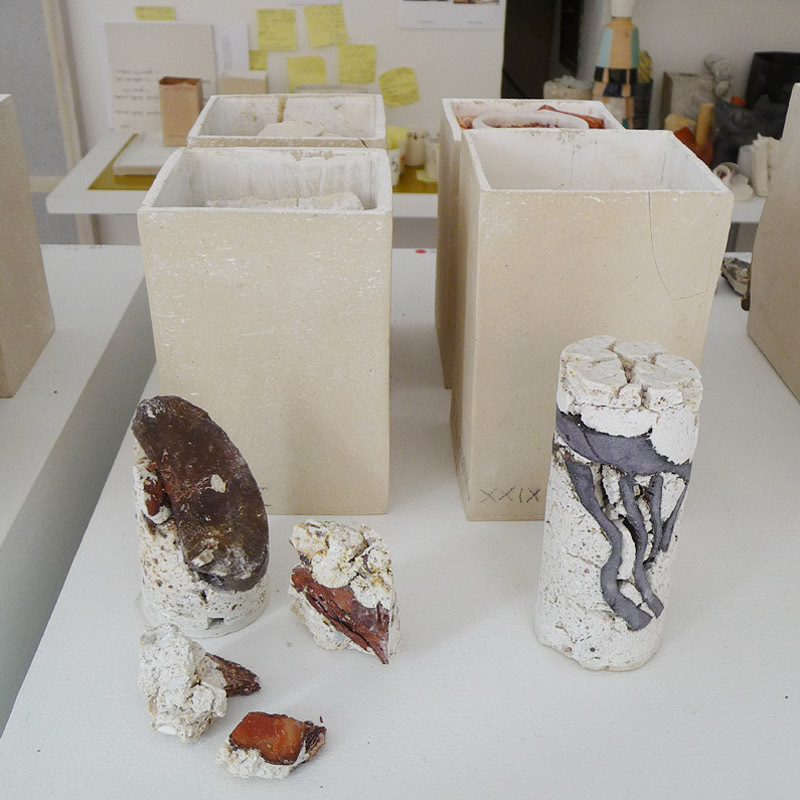 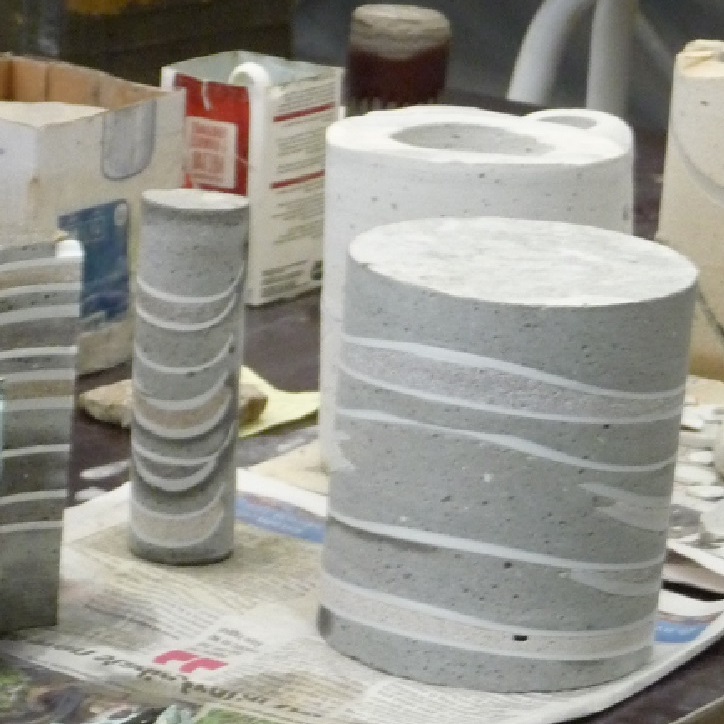 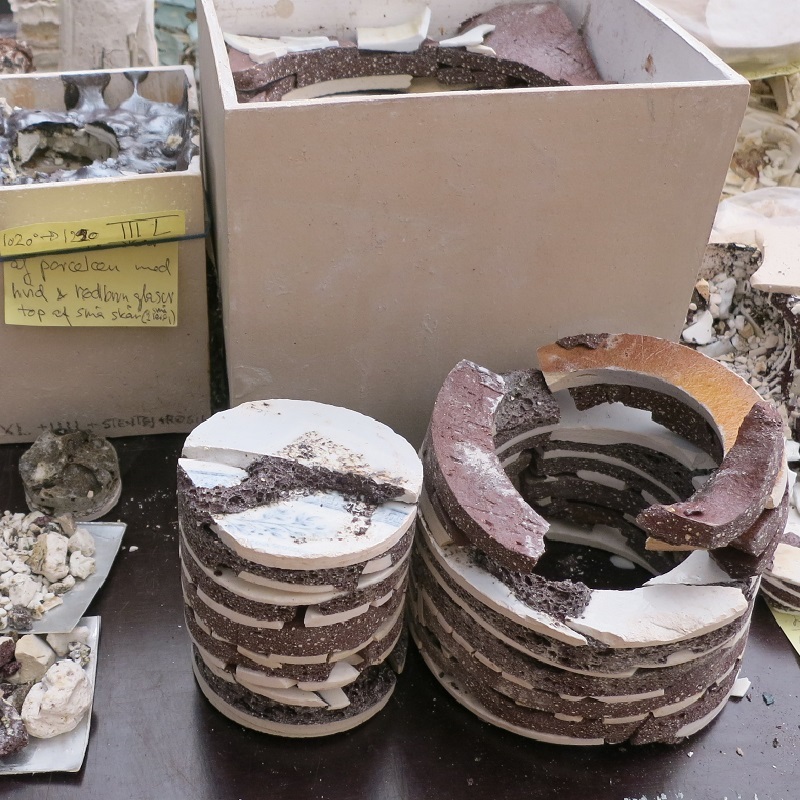 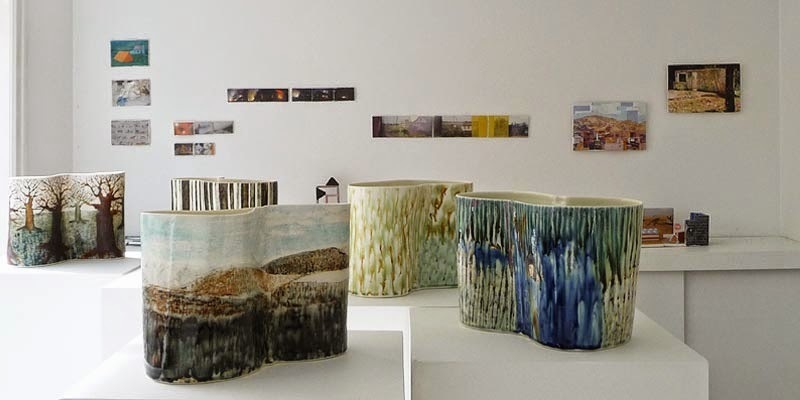 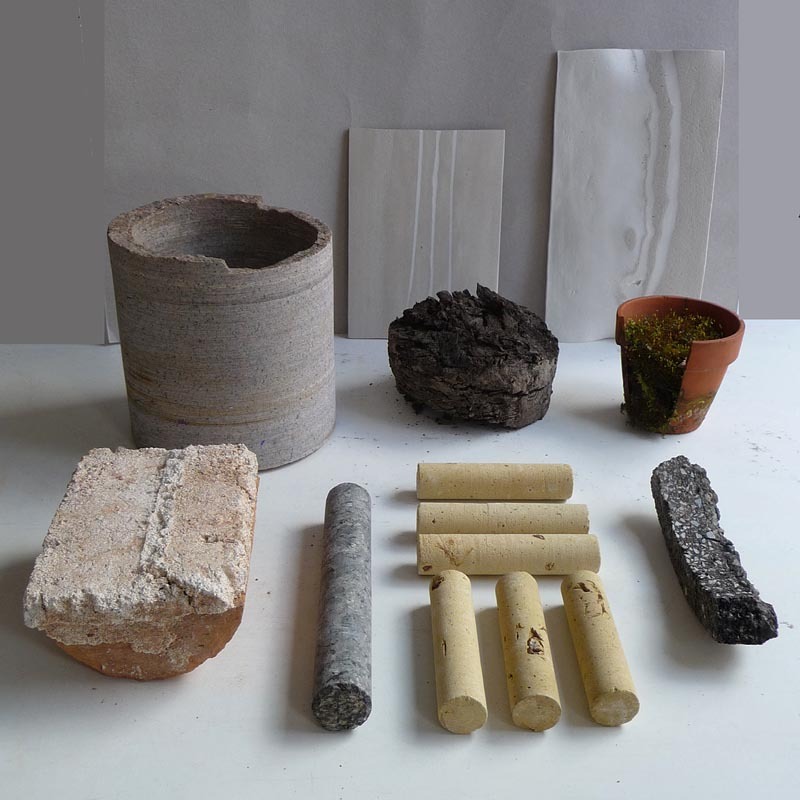 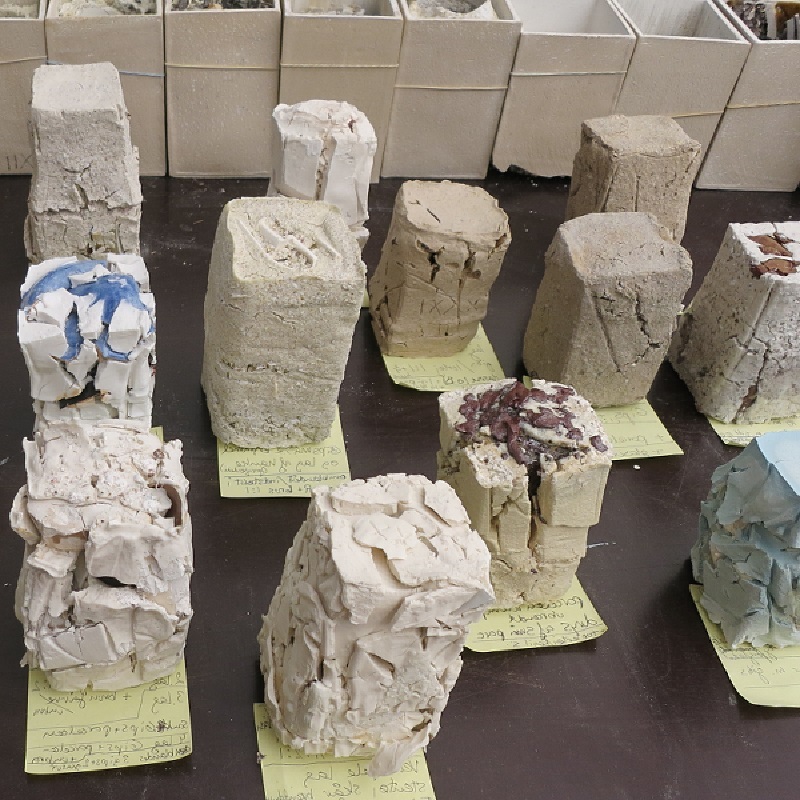 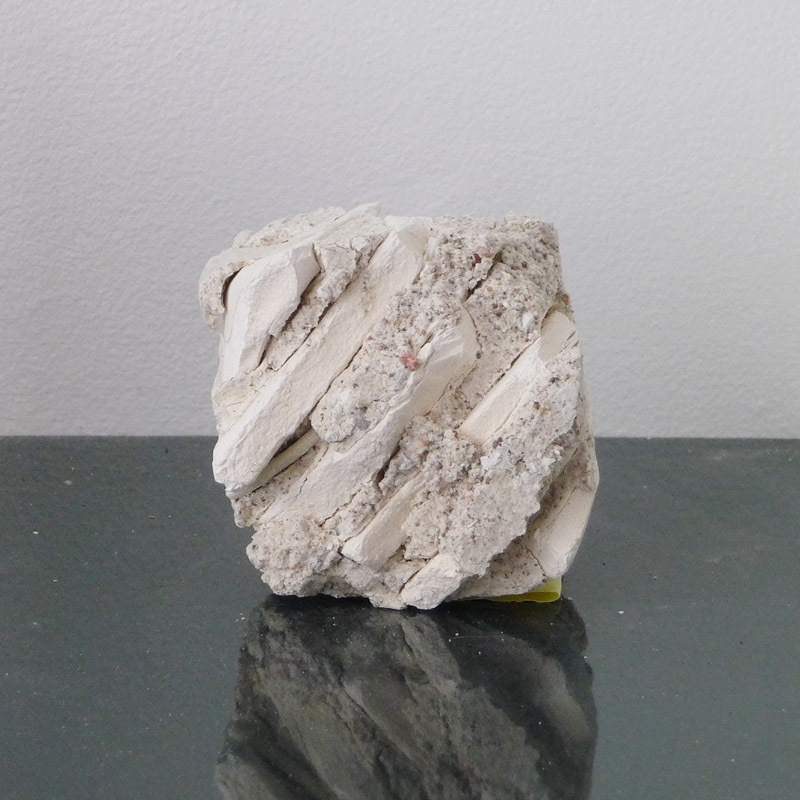 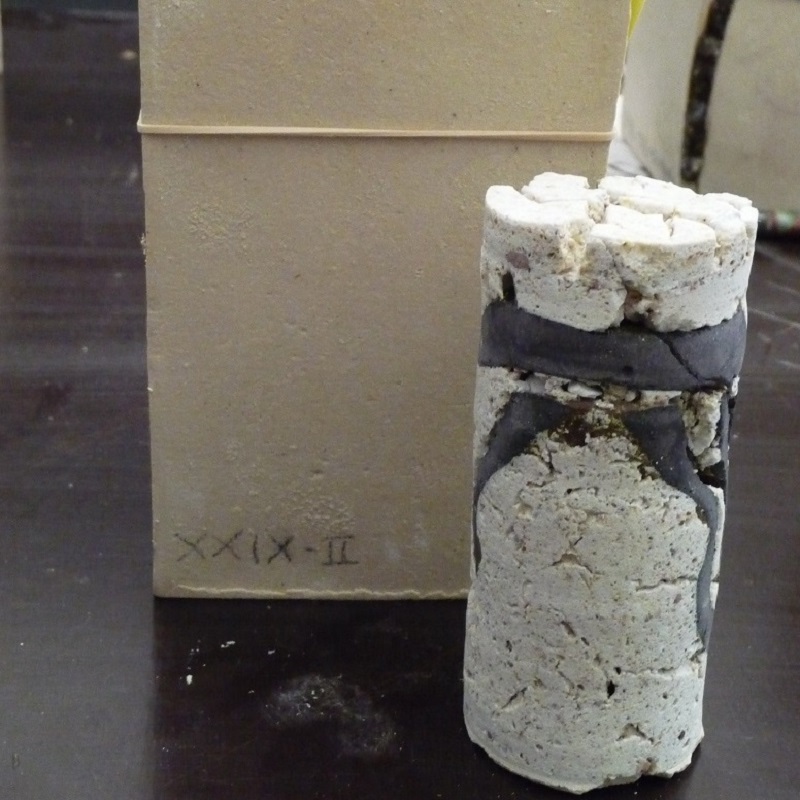 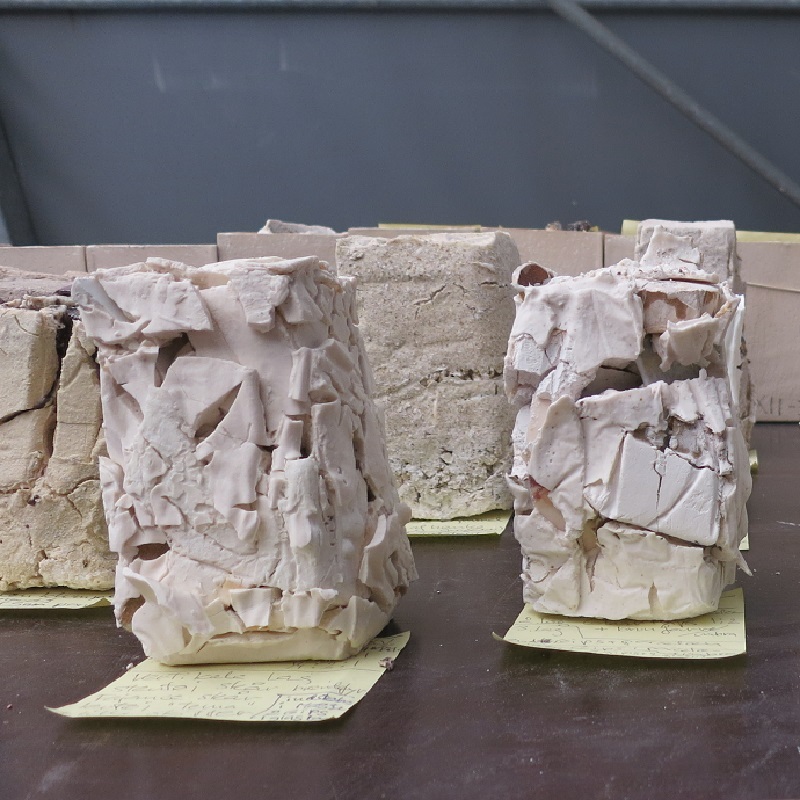 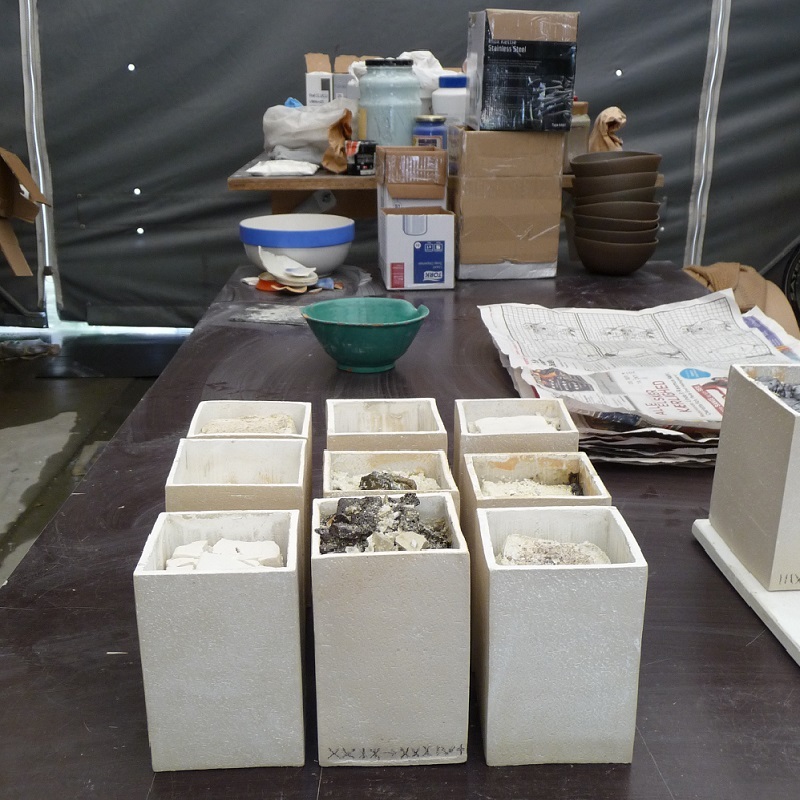 Knowledge of ceramics could prove to be an inspiration for the project. 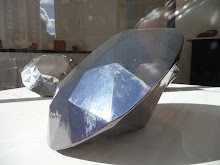 2013 ‘Wireless’, Kunstsenter i Drammen, Tønsberg og Frederikstad, Norge. 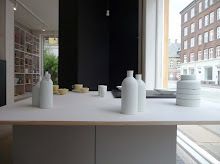 2013 Silkeborgudstillingen 2013, Kunstcentret Silkeborg Bad. 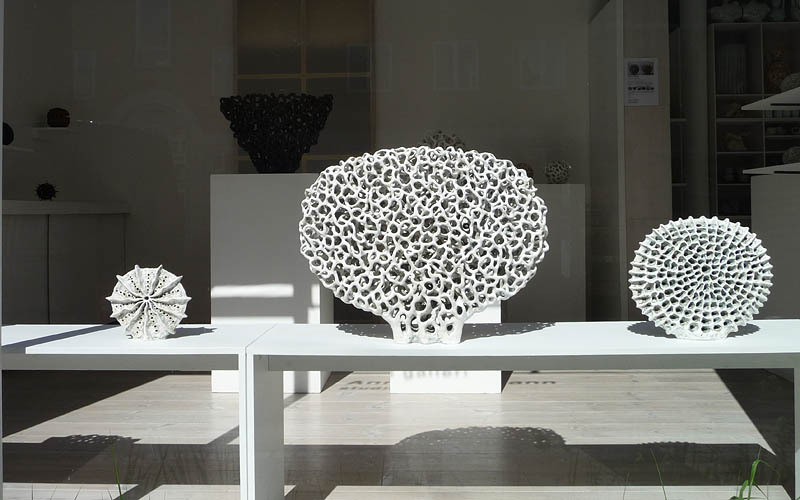 2013 Biennalen for Kunsthåndværk og Design, Rundetårn København. 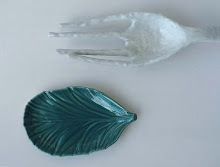 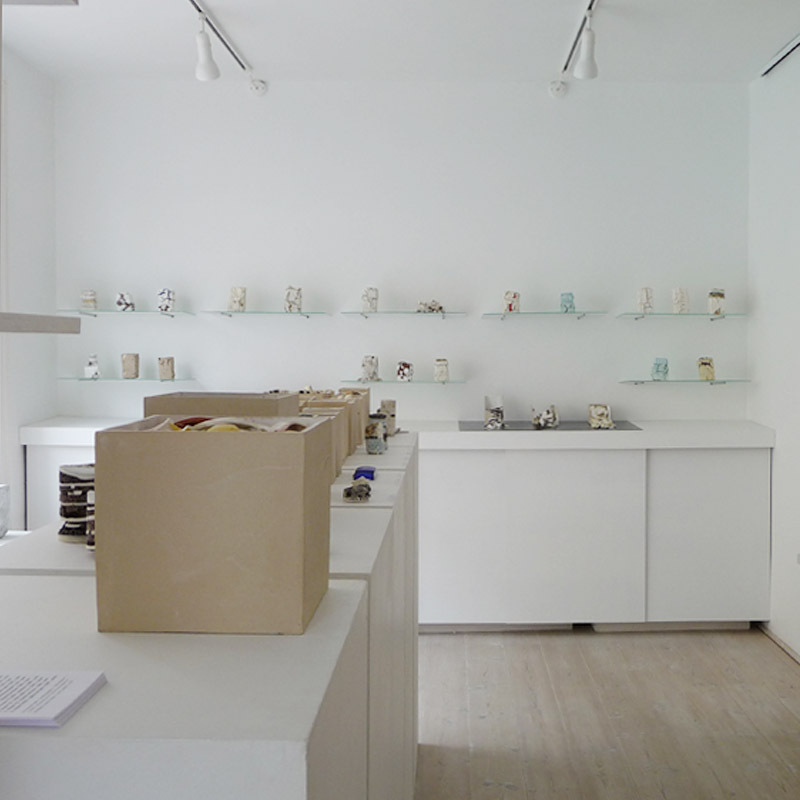 MEMBER OF Boutique for Table-setting and Carpenters Autumn Exhibition. 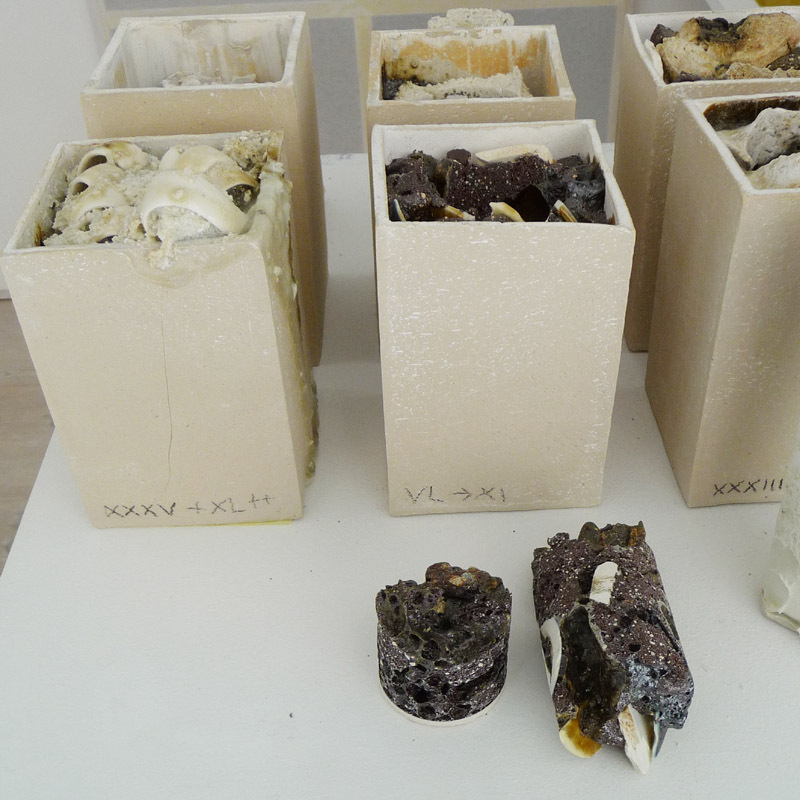 2016 Forms of Forrest, Lacoste Gallery, Maine, USA. 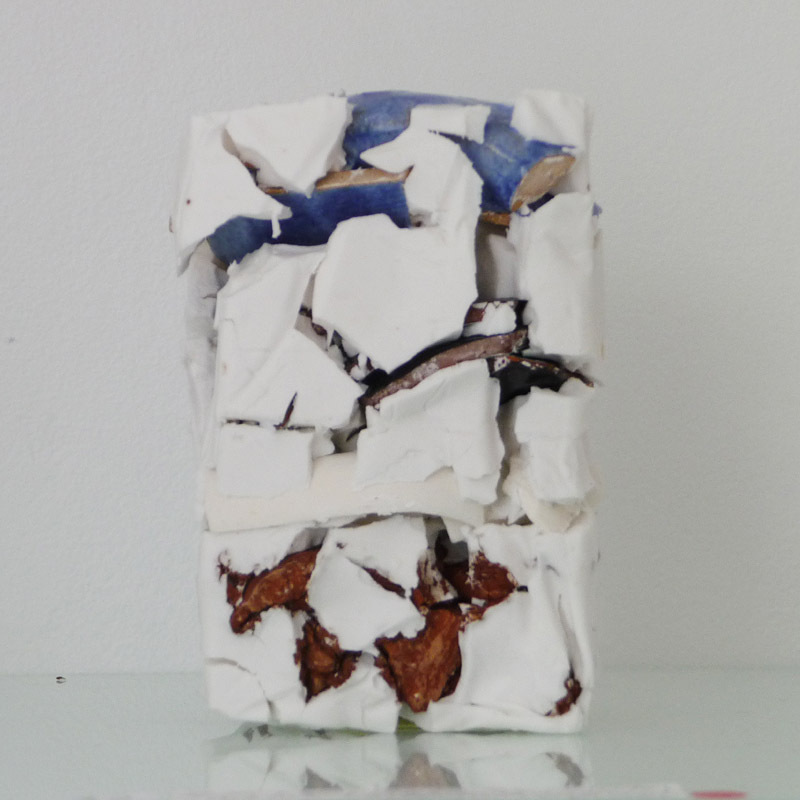 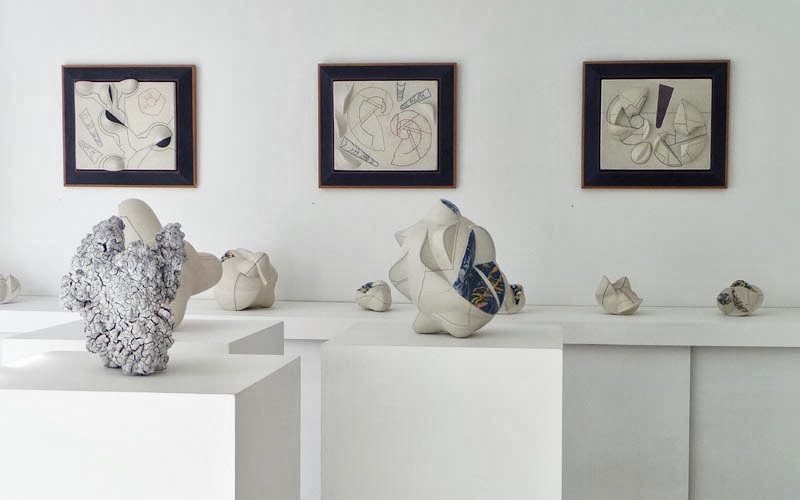 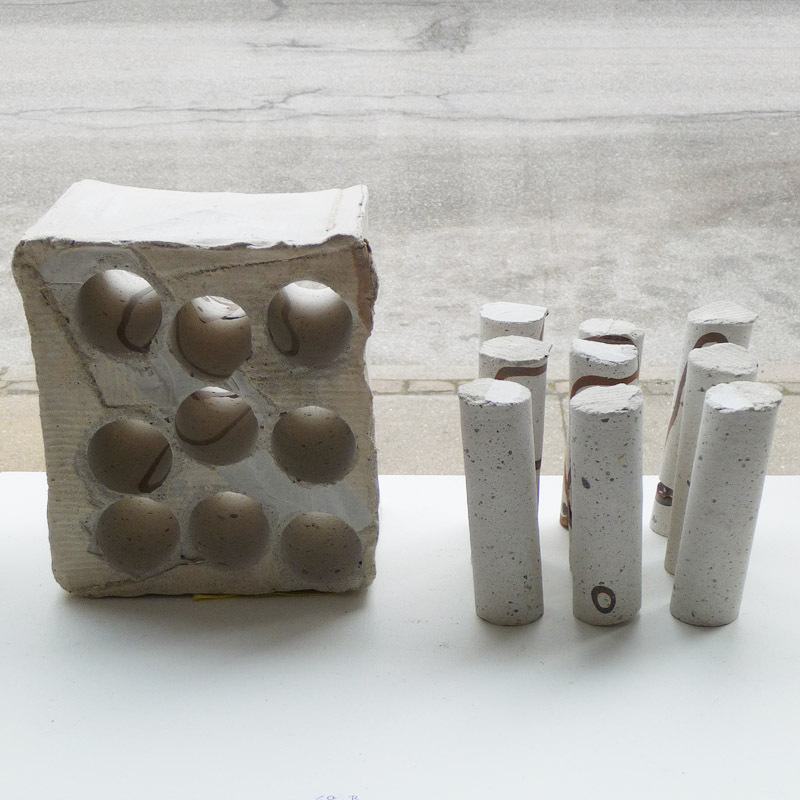 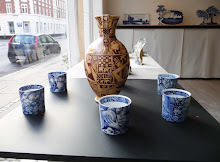 2013 Contemporary Spins on Blue & White Ceramics, Lacoste Gallery, USA. 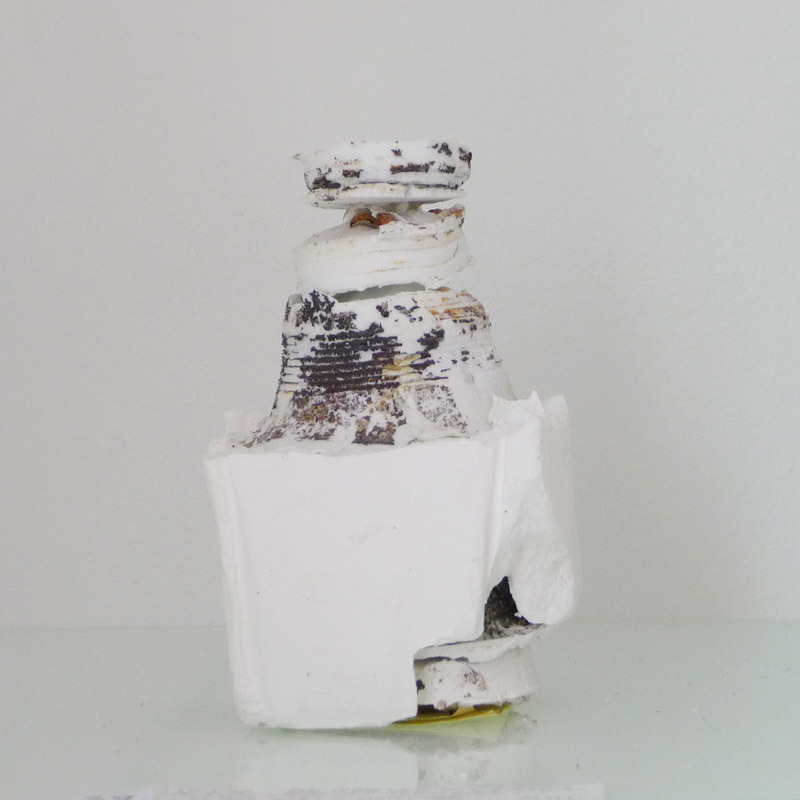 2012 Illusion – inspiration of Italien (solo), Ann Linnemann Gallery, DK. 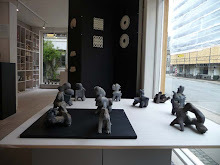 2009-11 Taking Time: Craft and Slow Movement, travel exhibition, UK. 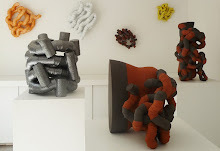 2009 Ann Linnemann (solo), Helen Stephens Gallery, Sydney, AU. 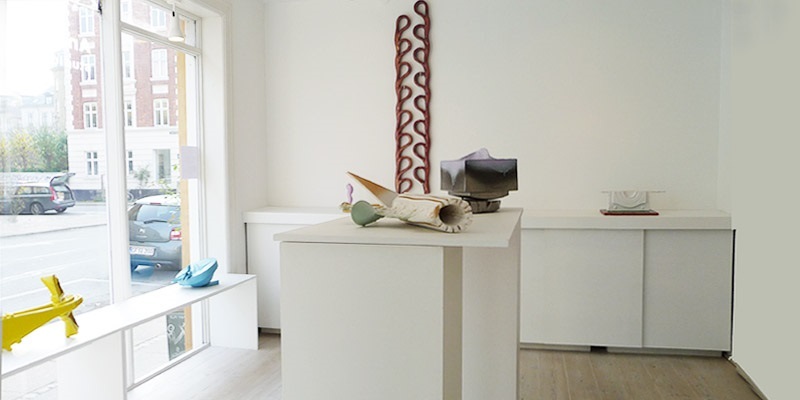 2008 Blue Room, Scottish Gallery, Edinburg, UK. 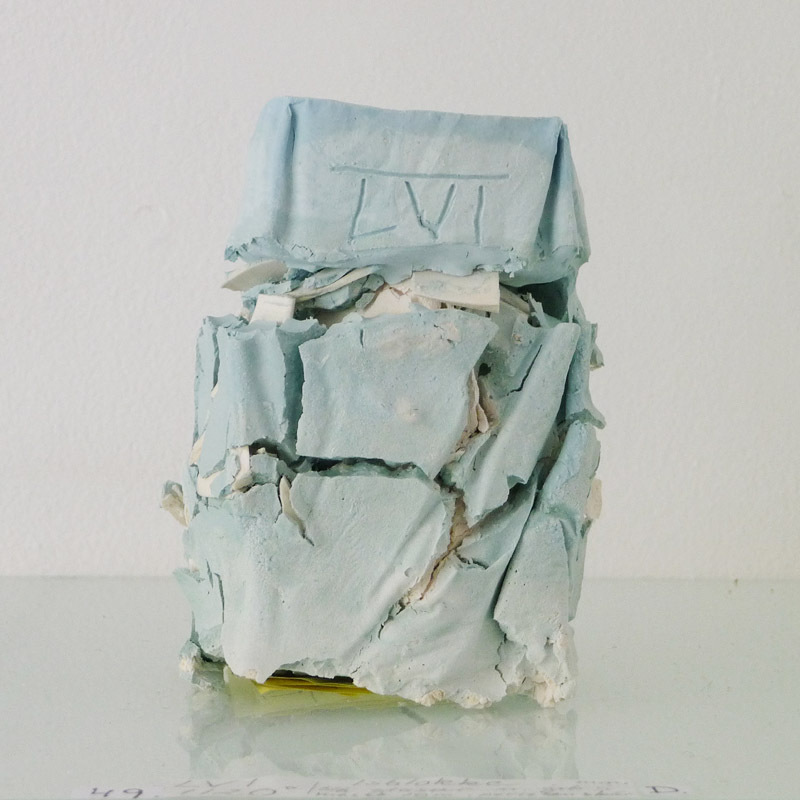 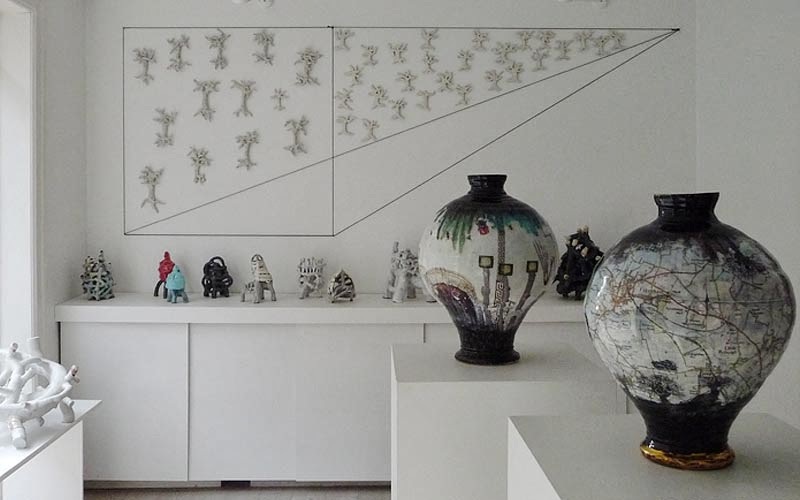 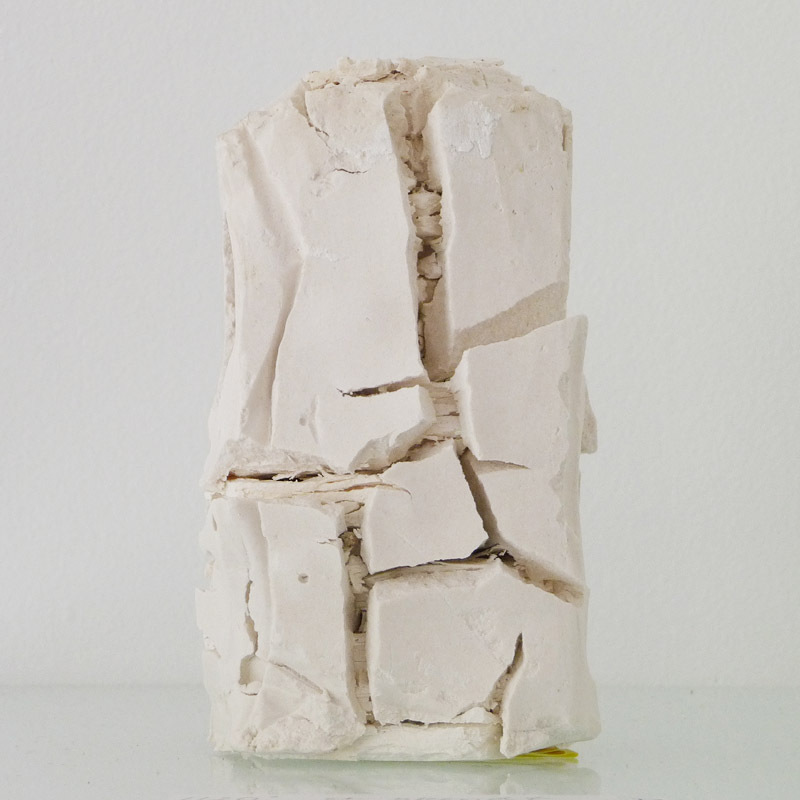 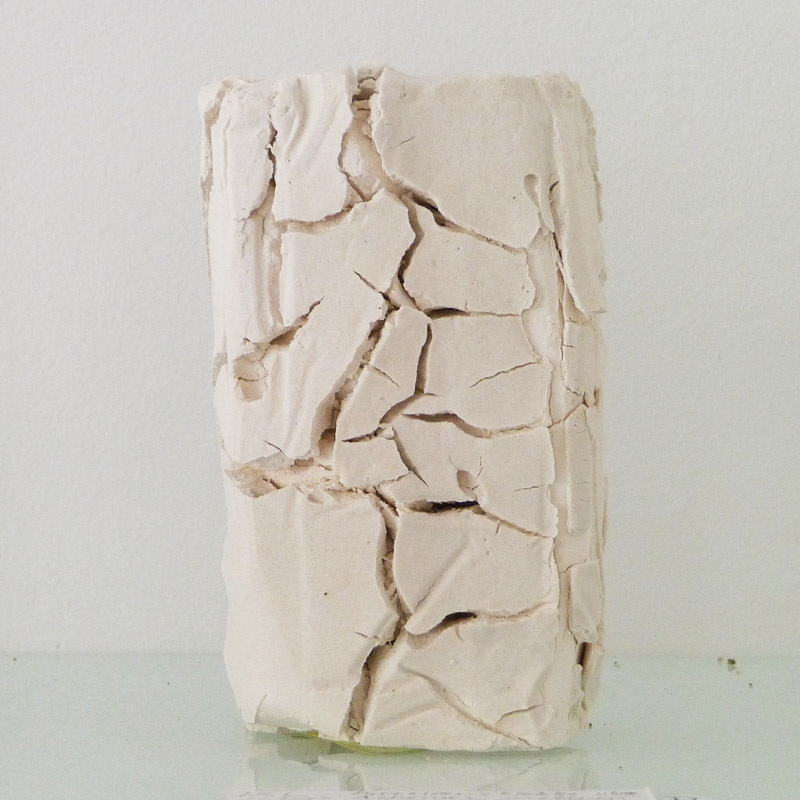 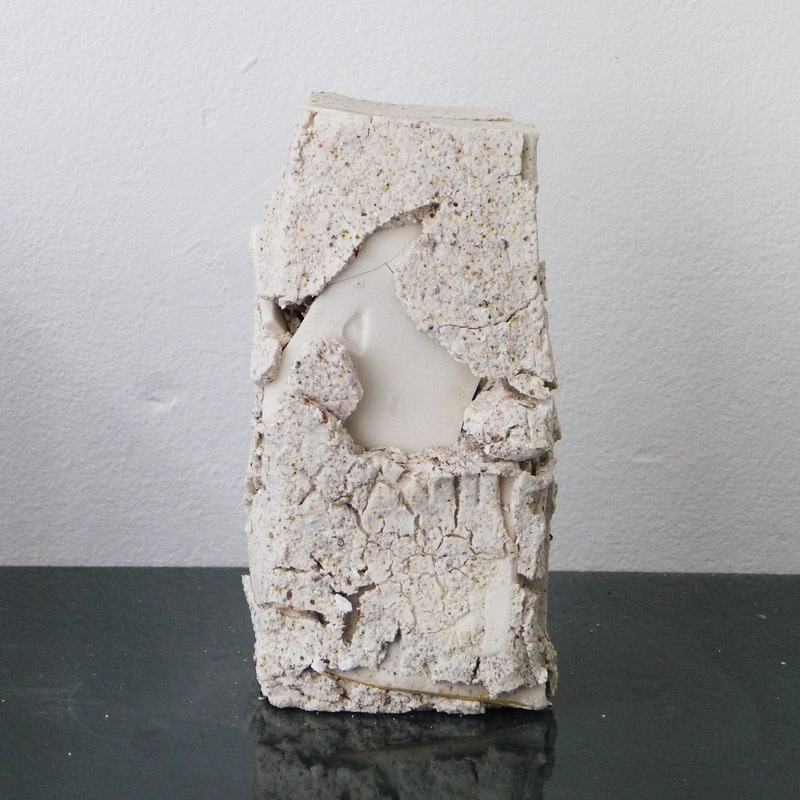 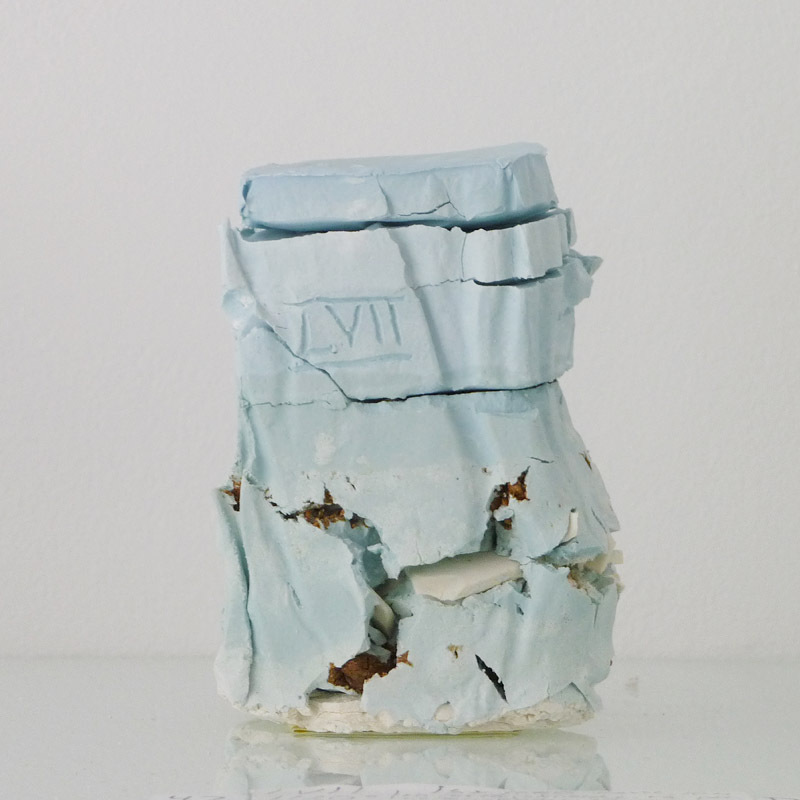 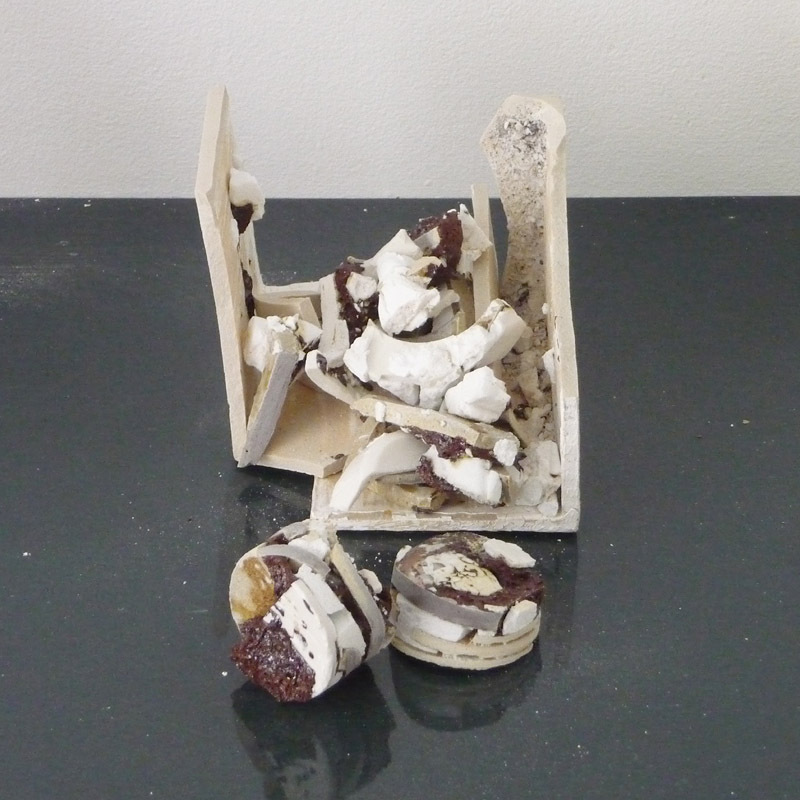 2008 Porcelain, JamFactory Contemporary Gallery, AU. 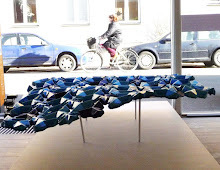 2005 Body Blue - Paul Scott UK & Ann Linnemann, Galleri Nørby, København. 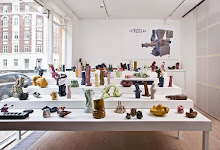 2001-04 Kilns of Denmark, travel exhibitioni USA, Europa. 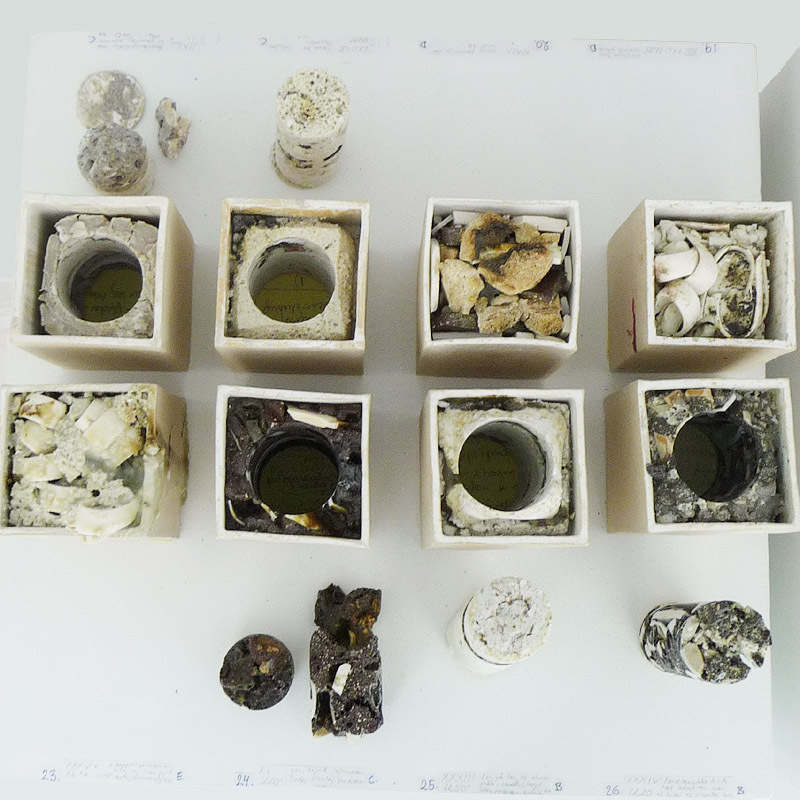 1999 Biennial for Crafts og Design, Trapholt Art Museum. 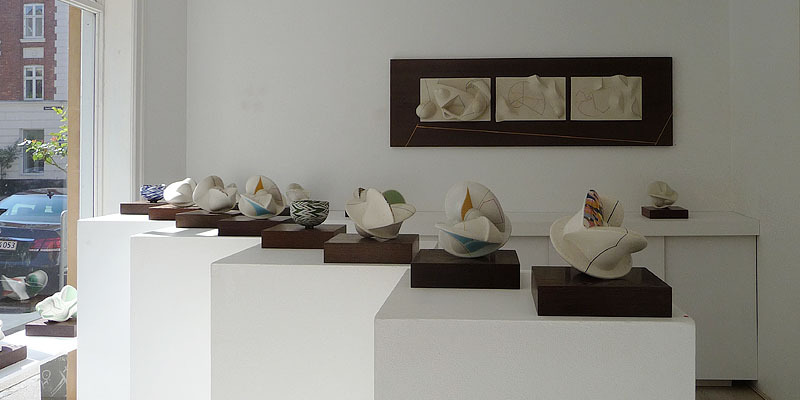 1997 Formation (solo), Gallery Nørby. 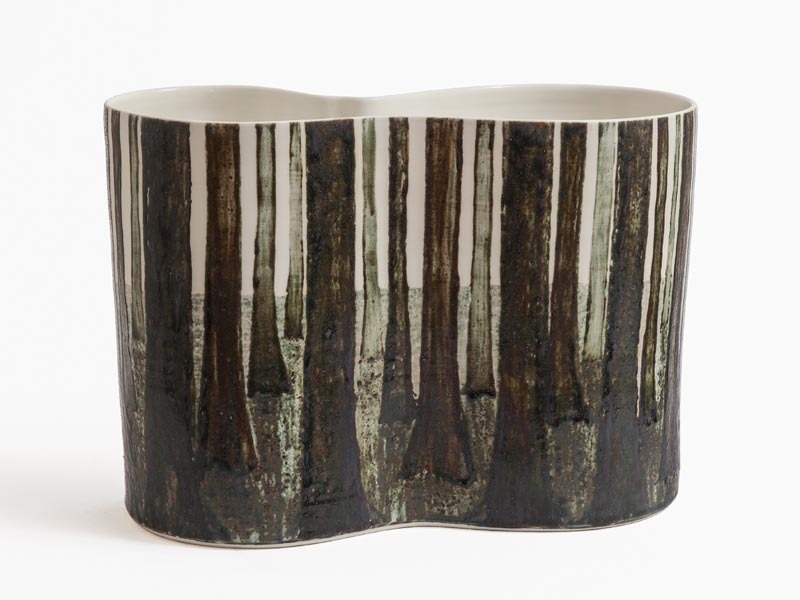 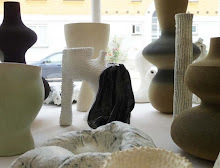 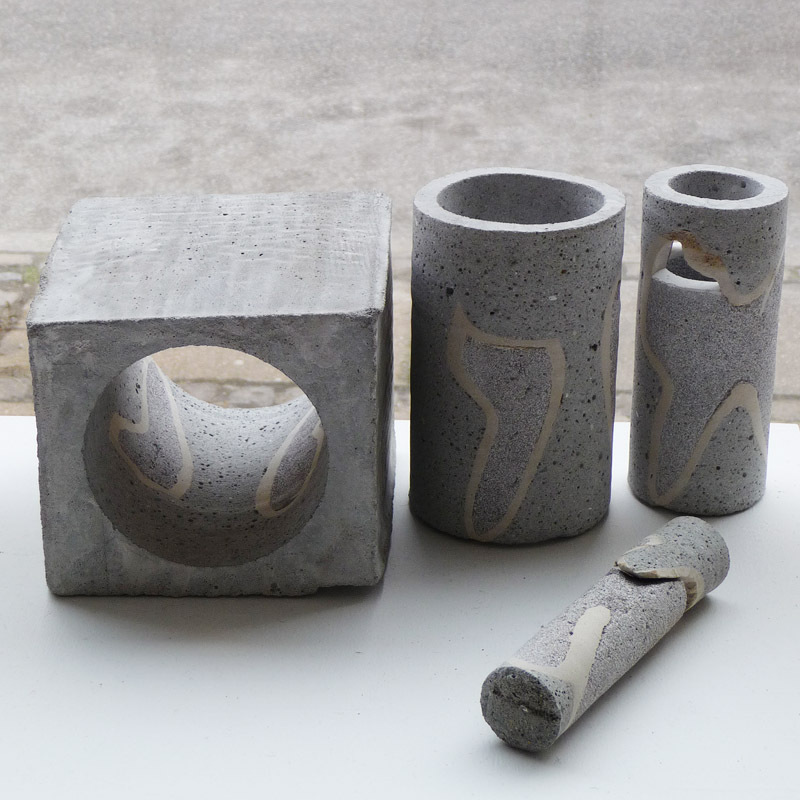 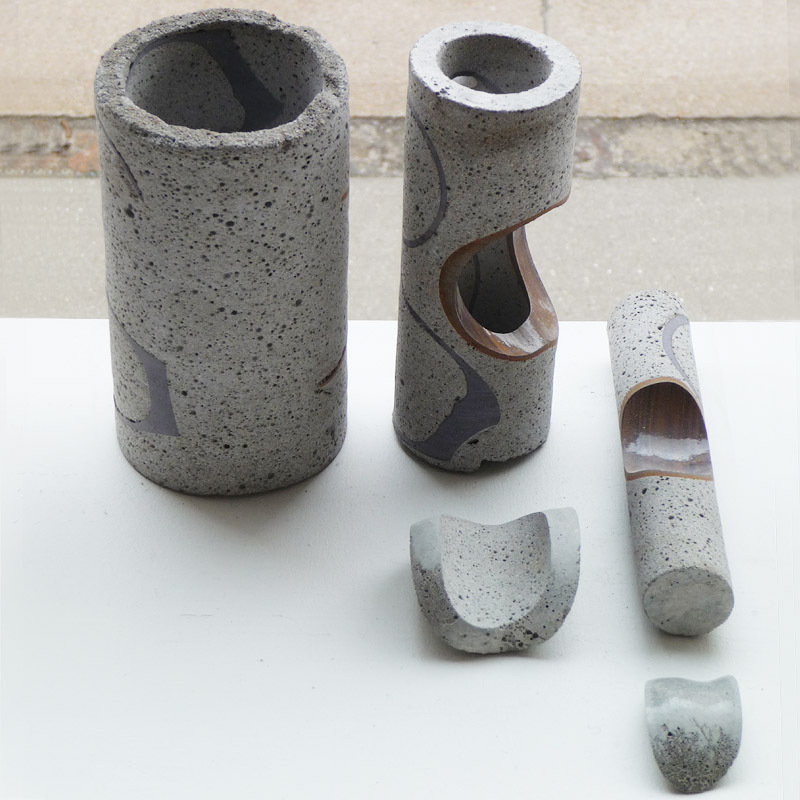 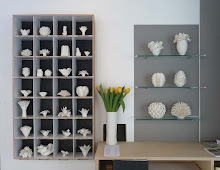 - Danish Ceramic Triennial, Trapholt. 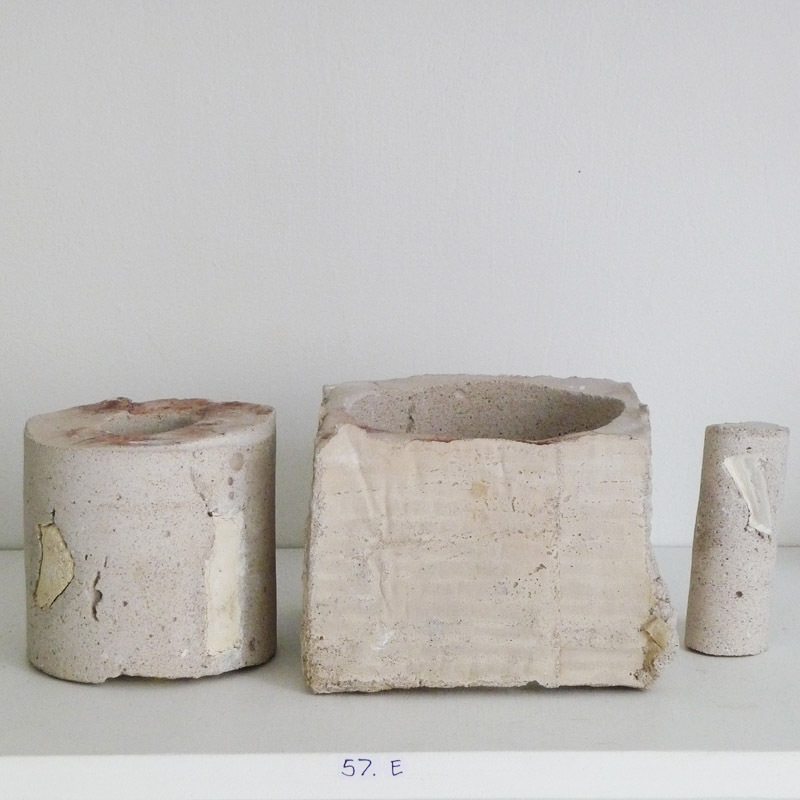 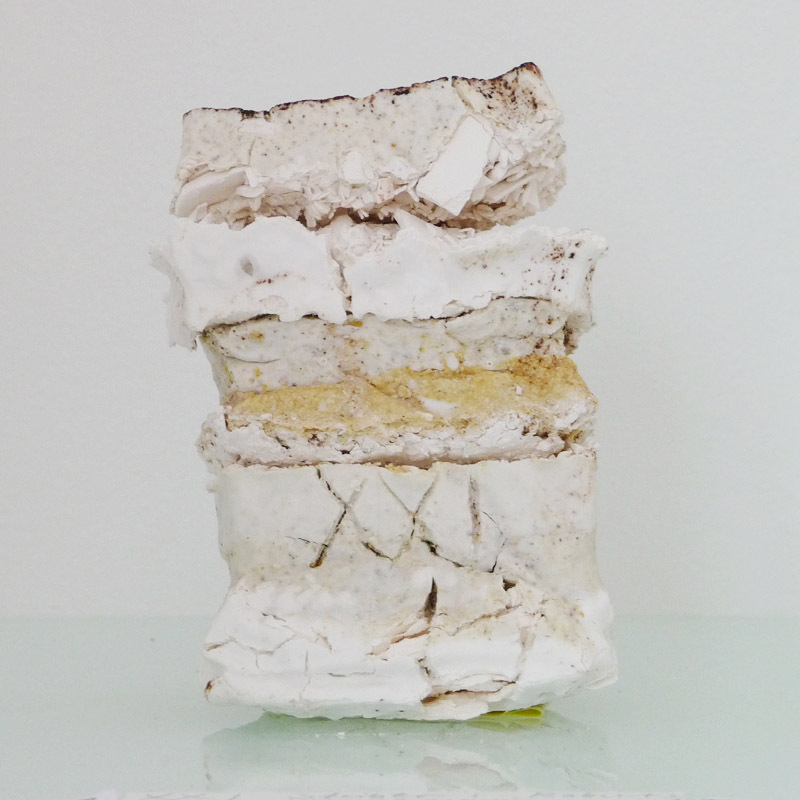 Statens Kunstfond treårigt stipendium 1998; Rejselegat 2011,04, Arbejdslegat 2008,96,94, Præmiering 2009. 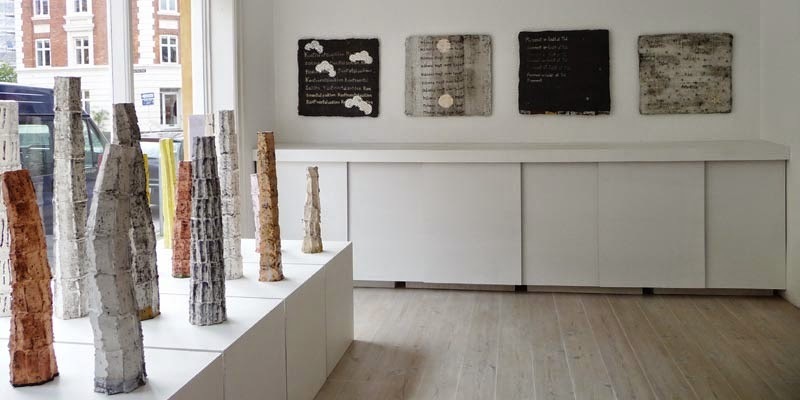 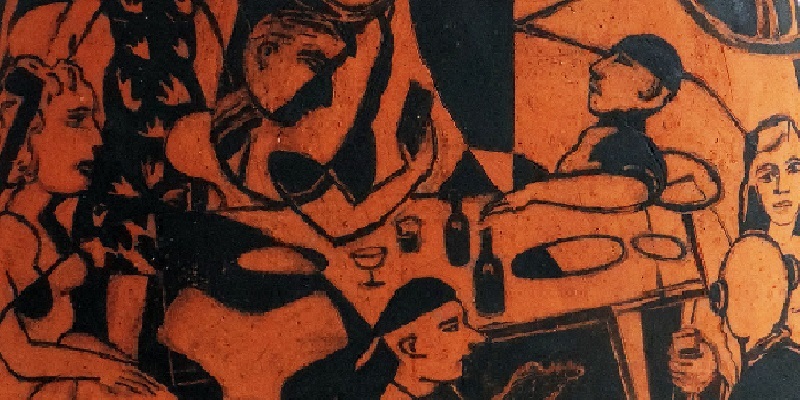 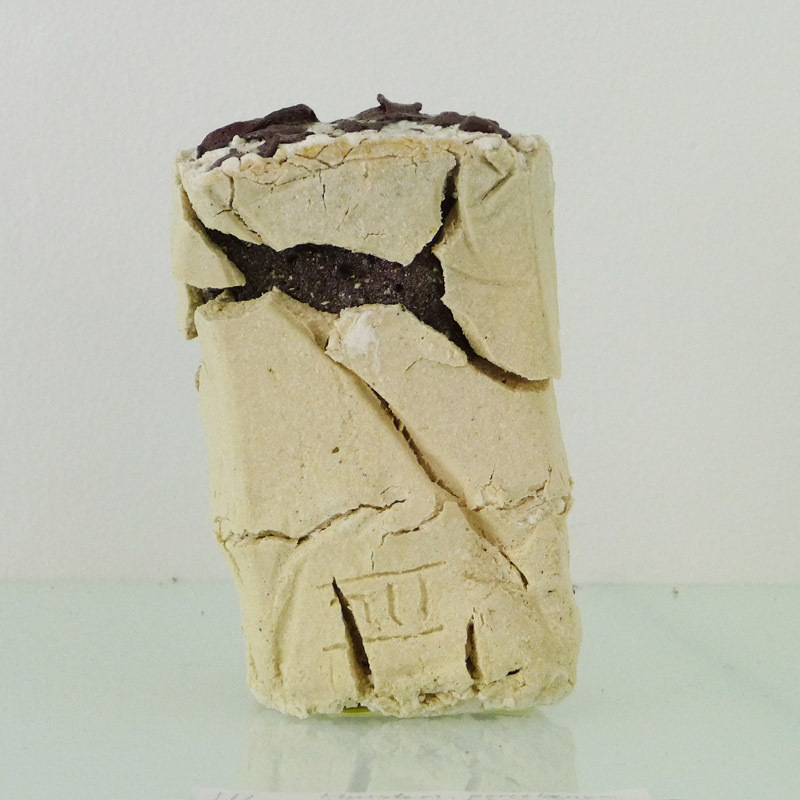 Ole Haslunds Kunstnerlegat, Helpmann Academy Award AU, Danske Keramik Triennalepris. 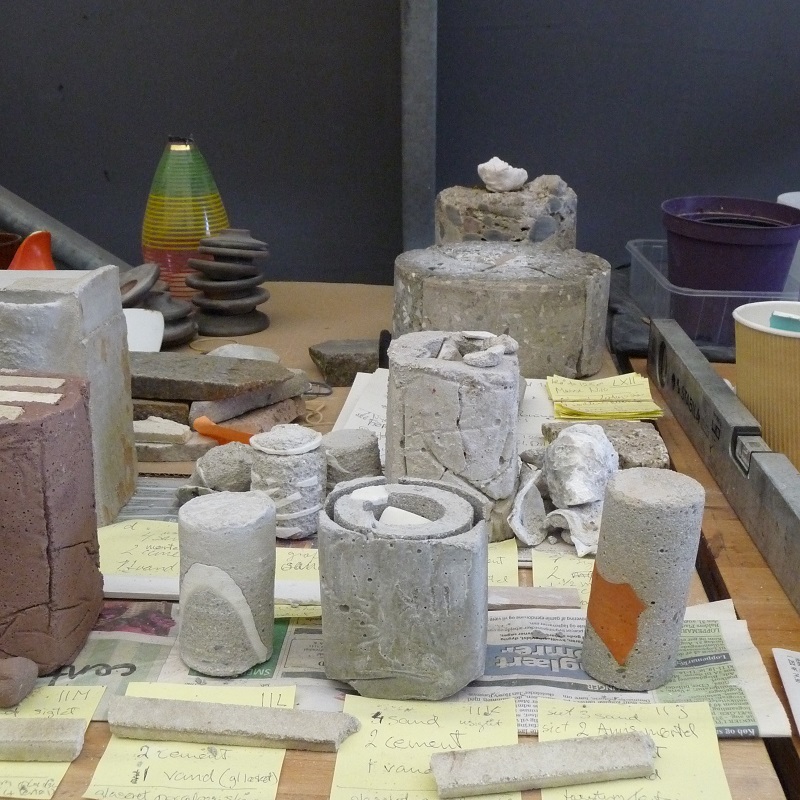 Danmarks Nationalbanks Jubilæumsfond, Banff Arts Centre Award CA, Knud Højgaards Fond, Thomas B. Thriges Fond..
Danmarks Keramikmuseum CLAY, Designmuseum Danmark, International Ceramic Research Center, NyCarlsberg Fondet, Næstved Museum, OJD-Fondet, Statens Kunstfond, Trapholt Kunstmuseum.